A method for forming a biodegradable polylactic acid suitable for use in fibers is provided. Specifically, a polylactic acid is melt processed at a controlled water content to initiate a hydrolysis reaction. Without intending to be limited by theory, it is believed that the hydroxyl groups present in water are capable of attacking the ester linkage of polylactic acids, thereby leading to chain scission or ''depolymerization'' of the polylactic acid molecule into one or more shorter ester chains. The shorter chains may include polylactic acids, as well as minor portions of lactic acid monomersor oligomers, and combinations of any of the foregoing. By selectively controlling the hydrolysis conditions (e.g., moisture and polymer concentrations, temperature, shear rate, etc. ), a hydrolytically degraded polylactic acid may be achieved that has a molecular weight lower than the starting polymer. Such lower molecular weight polymers have a higher melt flow rate and lower apparent viscosity,which are useful in a wide variety of fiber forming applications, such as in the meltblowing of nonwoven webs. 生物可降解的非织造纤网具有广泛的应用，如在一次性吸收产品（例如，尿布、训练裤、卫生擦拭品、妇女用护垫和衬垫、成人失禁垫、护具、服装等）。  The biodegradable nonwoven web having a wide range of applications, such as disposable absorbent products (e.g., diapers, training pants, sanitary wipes, women with pads and liners, adult incontinence pads, protective gear, clothing Wait). 为了便于非织造纤网成形，选择的生物可降解聚合物应是可熔融加工的，并且具有良好的机械与物理性能。 In order to facilitate forming a nonwoven web, a selected biodegradable polymer should be melt processable, and have good mechanical and physical properties. 聚乳酸(“PLA”）是常见的生物可降解的且可持续（可更新的）的聚合物。 Polylactic acid ( "PLA") is a common biodegradable and sustainable (renewable) polymers. 尽管为了将聚乳酸用于非织造纤网的成形已经进行了各种尝试，但是其高分子量和粘度往往将其使用限制于仅是某些类型的纤维成形方法。 Although polylactic acid used for forming nonwoven webs have been made various attempts, but their high molecular weight and viscosity tend to limit its use to only certain types of fiber forming method. 例如，常规的聚乳酸一般不适合于熔喷法，熔喷法需要低聚合物粘度用于微纤维的有效成形。 For example, a conventional polylactic acid is generally not suitable for meltblowing, melt-blown method requires a low viscosity of the polymer effective for forming microfibers. 因此，目前还需要具有良好机械与物理性质的生物可降解的聚乳酸，其可以采用多种技术（例如熔喷法）容易地形成非织造纤网。 Biological Thus, there needs to have good mechanical and physical properties of biodegradable polylactic acid, which may employ a variety of techniques (e.g., meltblowing) to easily form a nonwoven web. 根据本发明的一个实施方案，公开了用于纤维成形的生物可降解聚合物的形成方法，该方法包括熔融加工第一聚乳酸，以第一聚乳酸的干重计，其含水量为约500至约5000 份/百万（“ppm”）。  According to an embodiment of the present invention, discloses a method of forming a fiber-forming biodegradable polymer, the method comprising melt processing a first polylactic acid, by dry weight of the first polylactic acid having a moisture content from about 500 to about 5000 parts / million ( "ppm"). 聚乳酸经过水解反应生成第二水解降解的聚乳酸，根据ASTM测试方法D1238-E以2160克的负载且190°C的温度下基于干重测定，它的熔体流动速率较第一聚乳酸的熔体流动速率高。 After the hydrolysis reaction of the polylactic acid hydrolytic degradation of the second polylactic acid having a weight determined according to ASTM Test Method D1238-E load of 2160 g at a temperature of 190 ° C on a dry, its melt flow rate than the first polylactic acid high melt flow rate. 根据本发明的另一个实施方案，公开了包含生物可降解的、水解降解的聚乳酸的纤维。  According to another embodiment of the present invention, discloses the hydrolytic degradation of polylactic acid fibers comprising biodegradable. 根据ASTM测试方法D1238-E以2160克的负载且190°C温度下基于干重测定，聚乳酸的熔体流动速率为约5至约1000克/10分钟。 According to ASTM Test Method D1238-E 2160 g load at 190 ° C and the temperature measured on a dry basis, of the polylactic acid melt flow rate of from about 5 to about 1000 g / 10 min. 本发明的其它特征和方面将在下文更为详细地讨论。  Other features and aspects of the invention will be discussed in more detail below. 图3为可以根据本发明形成的吸收性用品的一个实施方案的透视图。  FIG. 3 is a perspective view of the absorbent article according to the present invention is formed in one embodiment. 在本发明说明书和附图中重复使用附图标记是要表示本发明中相同或类似的特征或要素。  Repeat use of reference to the present invention, the same or similar features or elements in the specification and drawings of the present invention. 本发明所用的术语“生物可降解的”或“生物可降解的聚合物”通常是指由天然形成的微生物，如细菌、真菌和藻类；环境中的热；水份；或其它环境因素的作用而降解的材料，材料的生物可降解性可以采用ASTM测试方法5338. 92测定。  As used herein, the term "biodegradable" or "biodegradable polymer" generally refers formed from natural microorganisms, such as bacteria, fungi, and algae; thermal environment; water; or other environmental acting factors and degraded materials, biodegradable materials may 5,338.92 measured using ASTM test methods. 本发明所用的术语“纤维”是指将聚合物通过成形孔如模具，形成的拉长的挤出物。  The term "fibers" used in the present invention refers to a polymer through a forming orifice such as a die, elongated extrudate formed. 除非特别指出，术语“纤维”包括具有特定长度的不连续纤维和实质上连续的细丝。 Unless otherwise indicated, the term "fibers" include discontinuous fibers having a specific length and substantially continuous filaments. 实质上，细丝可以具有例如比其直径大得多的长度，如长径比（“aspect ratio")为约15,000 ： 1，在某些情况下为约50，000 ： 1。 Essentially, the filaments may have a diameter larger than the length of, for example, such as the aspect ratio ( "aspect ratio") of about 15,000: 1, in some cases from about 50,000: 1. 本发明所用的术语“单组分”是指由一种聚合物形成的纤维。  The term "single component" as used in the present invention refers to fibers formed from one polymer. 当然，这并不排除出于颜色、抗静电性能、润滑、亲水性、拒液性等的考虑，向纤维加入添加剂。 Of course, this does not exclude, for color, antistatic properties, lubrication, hydrophilicity, considering the liquid repellency or the like, an additive is added to the fibers. 本发明所用的术语“多组分”是指由分开的挤出机挤出的至少两种聚合物形成的纤维（例如，双组分纤维）。  The term "multi-component" as used herein refers to fibers (e.g., bicomponent fibers) extruded from separate extruders at least two polymer formed. 聚合物排列在实质上位置不变的分开的区域内，该区域横跨纤维横截面。 Polymer in the separate regions are arranged substantially in the same position in the region across the fiber cross-section. 组分可以以任何需要的结构排列，如皮-芯型、并列型、橘瓣型、海岛型等等。 Components may be arranged in any desired configuration, such as sheath - core type, parallel type, segmented pie, islands-like. 形成多组分纤维的各种方法在Taniguchi等人的美国专利No. 4，789，592和Strack等人的美国专利No. 5，336，552，Kaneko等人的美国专利No. 5，108, 820，Kruege等人的美国专利No. 4，795，668, Pike 等人的美国专利No. 5，382，400, Strack 等人的美国专利No. 5，336，552 以及Marmon等人的美国专利No. 6，200, 669中有描述，在此将其全文引入作为用于各种用途的参考。 Various methods of forming a multi-component fibers No. 4,789,592 to Strack et al., In U.S. Pat. Taniguchi et al. U.S. Pat. No. 5,336,552, Kaneko et al U.S. Patent No. 5,108, 820, Kruege et al., US Patent No. 4,795,668, Pike, et al., US Patent No. 5,382,400, Strack et al. US Patent No. 5,336,552 and US Patent Marmon, et al. No. 6,200, 669 are described, herein incorporated by reference in its entirety for various applications. 还可以形成具有各种不规则形状的多组分纤维，如M^MA的美国专利5，277，976.Hills 的美国专利No. 5，162，074,Hills 的美国专利No. 5，466，410,Largman 等人的美国专利No. 5，069, 970以及LarfflIian等人的美国专利No. 5，057, 368中描述的，在此将其全文引入作为用于各种用途的参考。 Forming multicomponent fibers may also have various irregular shapes, such as U.S. Pat M ^ MA in U.S. Pat 5,277,976.Hills No. 5,162,074, Hills U.S. Patent No. 5,466, 410, Largman et al., U.S. Patent No. 5,069, 970 and LarfflIian et al., U.S. Patent No. 5,057, 368 described, herein incorporated by reference in its entirety for various applications. 本文所用的术语“多成分”是指由至少两种聚合物挤出形成的混合物形成的纤维(例如，双成分纤维）。  As used herein, the term "multi-component" refers to fibers (e.g., bi-component fibers) of a mixture of at least two polymers extruded formed. 聚合物没有排列在实质上位置不变的分开的区域内，该区域横跨纤维横截面。 Polymers are not arranged in substantially separate regions in the same position in the region across the fiber cross-section. 各种多成分纤维在Gessner的美国专利No. 5，108，827中有描述，在此将其全文引入作为用于各种用途的参考。 A variety of multi-component fibers are described in Gessner U.S. Patent No. 5,108,827, herein incorporated by reference in its entirety for various applications. 本发明所用的术语“非织造纤网”是指单个纤维结构随机交叠的纤网，而不是如针织物那样的方式交叠。  As used herein, the term "nonwoven web" means a structure of individual fibers randomly overlapping webs, such as but not overlapping the knitted fabric. 非织造纤网包括，例如熔喷纤网、纺粘纤网、梳理纤网、湿法纤网、气流纤网、同成形纤网、水力缠绕纤网等。 The nonwoven webs include, for example, meltblown webs, spunbond webs, carded webs, wet-laid webs, airlaid webs, coform webs, hydroentangled webs and the like. 非织造纤网的定量通常可以发生变化，但通常为约5克/平方米（“gsm”）至200gsm，在一些实施方案中为约IOgsm至约150gsm，在一些实施方案中为约15gsm至约lOOgsm。 Quantitative nonwoven web may generally varies, but is typically about 5 grams / square meter ( "gsm") to 200 gsm, in some embodiments of from about IOgsm to about 150 gsm, in some embodiments, from about 15gsm to about lOOgsm. 本发明所使用的术语“熔喷”纤网或层一般是指通过这样的方法形成的非织造纤网，在该方法中将熔融的热塑性材料通过多个精细的、通常为圆形的毛细血管模具挤出，熔融的纤维进入会聚的高速气流（例如空气）内，使熔融的热塑性材料纤维衰减，其直径可以减小至微纤维的直径。  The terms used in the present invention "meltblown" web or layer generally refers to a nonwoven web formed by such a method, the method will be in a molten thermoplastic material through a plurality of fine, usually circular, capillary extrusion die, the molten fibers into converging high velocity gas (e.g. air), the fibers of molten thermoplastic material is attenuated, the diameter may be reduced to microfiber diameter. 此后，熔喷纤维被高速气流转运并沉积在收集面上，形成随机分散的熔喷纤维纤网。 Thereafter, the meltblown fibers are transported high velocity gas stream and are deposited on a collecting surface to form a web of randomly dispersed meltblown fibrous web. 这种方法在例如Butin等人的美国专利No. 3，849，241, Meitner等人的美国专利No. 4，307, 143、Wisneski等人的美国专利No. 4，707, 398中公开，在此将其全文引入作为用于各种用途的参考。 Such processes Butin et al., U.S. Pat. No. 3,849,241, Meitner et al., U.S. Patent No. 4,307, 143, Wisneski et al., U.S. Patent No. 4,707, 398 is disclosed in the hereby incorporated by reference in its entirety for various applications. 熔喷纤维可以是实质上连续的或不连续的，并且当其沉积在收集面时通常是发粘的。 Meltblown fibers may be substantially continuous or discontinuous, and when it is deposited on a collecting surface is usually tacky. 本发明所使用的术语“纺粘”纤网或层一般是指包含小直径的实质上连续的细丝的非织造纤网。  The terms used in the present invention, "spunbond" web or layer generally refers to a substantially continuous filament nonwoven web containing small diameter. 细丝是通过从多个精细的、通常为圆形的毛细管状喷丝头挤出熔融的热塑性材料而形成的，然后通过例如喷射拉伸（eductive drawing)和/或其它众所周知的纺粘机制使挤出的细丝的直径快速减小。 By filament is then stretched by, for example injection (eductive drawing), and / or other well known spunbonding mechanisms from a plurality of fine, usually circular extruding molten spinneret capillary is formed so that the thermoplastic material the diameter of the extruded filaments is rapidly reduced. 妨粘纤网的牛产在例如ADDel等人的美国专利No. 4，340, 563、Dorschner等人的美国专利No. 3，692，618、Matsuki等人的美国专利No. 3，802, 817、Kinney 的美国专利No. 3，338，992、Kinney 的美国专利No. 3，341, 394、 Hartman的美国专利No. 3，502, 763.Levy的美国专利No. 3，502, 538.Dobo等人的美国专利No. 3，542, 615和Pike等人的美国专利No. 5，382，400中有描述和说明，在此将其全文引入作为用于各种用途的参考。 Harm cattle production, for example, in adhesive webs ADDel et al., U.S. Patent No. 4,340, 563, Dorschner et al., U.S. Pat. No. 3,692,618, Matsuki et al., U.S. Patent No. 3,802, 817 , Kinney, US Patent No. 3,338,992, Kinney, US Patent No. 3,341, 394, Hartman, US Patent No. US Patent No. 3,502, 763.Levy of 3,502, 538.Dobo et al., U.S. Patent No. 3,542, 615 to Pike, et al., and U.S. Patent No. 5,382,400 there is described and illustrated, herein incorporated by reference in its entirety for various applications. 当纺粘细丝沉积于收集面上时一般不发粘。 When deposited on a collecting surface Spunbond filaments are generally not tacky. 纺粘细丝直径有时可以小于约40微米，并且通常为约5到约20微米。 Spunbond filament diameter may sometimes be less than about 40 microns, and typically from about 5 to about 20 microns. 本发明中所用的术语“梳理纤网”是指由短纤维制成的纤网，短纤维通过梳理单元，梳理单元在机器方向上将短纤维分开并排列，形成通常是机器方向上定向的纤维非织造纤网。  As used in the present invention, the term "carded web" refers to webs made of short fibers, staple fibers by carding unit carding unit in the machine direction of the short fibers apart and arranged to form a generally machine direction oriented fibrous nonwoven web. 这种纤维通常成捆得到，并被置于拆捆机/混合机或拣选机中，用来在梳理单元前分离纤维。 Such fibers are typically bundled obtained and placed Bale / mixer or in a picker, for separating the fibers before carding unit. 一旦成形，纤网随后可以通过一种或多种已知的方法粘合起来。 Once formed, the web may then be bonded together by one or more known methods. 本发明中所使用的术语“气流纤网”通常是指由长度通常为约3至约19毫米（mm) 的纤维束制成的纤网。  The term as used in the present invention, "airflow web" generally refers to a web made of a fiber bundle is generally from about 3 to about 19 millimeters (mm) by the length. 纤维在气流中分离、运送，并且通常在抽真空的辅助下随后沉积于成形面上。 Fiber separation in the air flow, transport, and are typically evacuated under a vacuum assisted subsequently deposited on the forming surface. 一旦成形，纤网可以随后通过一种或多种已知的方法粘合起来。 Once formed, the web may then be bonded together by one or more known methods. 本发明中所使用的术语“同成形纤网，，一般是指包含热塑性纤维与第二非热塑性材料的混合物或稳定基质的复合材料。例如，同成形材料可以通过这样的方法制造，其中滑槽附近设置至少一个熔喷模头，当纤网成形时，其它材料通过滑槽添加到纤网中。这样的其它材料可以包括但不限于，纤维有机材料，如木材和非木材纸浆，如棉花、人造纤维、再生纸、绒毛浆以及强吸收性颗粒；无机和/或有机吸收性材料；经过处理的聚合物短纤维等等。这些同成形材料的一些例子公开在Anderson等人的美国专利No. 4，100, 324.Everhart 盖人的美国专利No. 5，284, 703和Georger等人的美国专利No. 5，350, 624中，在此将其全文引入作为用于各种用途的参考。  As used in the present invention, the term "coform web ,, generally refers to a mixture or stabilized matrix of a composite material comprising thermoplastic fibers and a second non-thermoplastic material. For example, coform materials may be made by a process, wherein the chute is provided close to at least one meltblown die head, when forming the web, other materials added to the web through the chute. such other materials may include, but are not limited to, fibrous organic materials such as wood and non-wood pulp, such as cotton, rayon, recycled paper, pulp fluff and high-absorbency particles; inorganic and / or organic absorbent materials; treated polymeric staple fibers, etc. Some examples of such coform materials are disclosed in U.S. Anderson et al. Patent No. 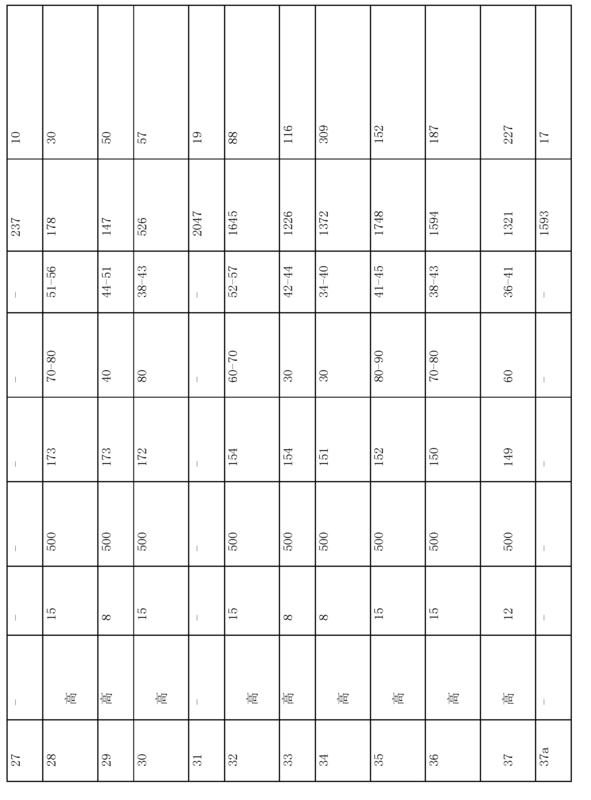 4,100, 324.Everhart lid al U.S. Patent No. 5,284, 703 and Georger et al., U.S. Patent No. 5,350, 624, which is hereby incorporated in its entirety for all purposes reference. 本发明涉及适用于纤维的生物可降解的聚乳酸的制造方法。  The present invention relates to a method of manufacturing a suitable biodegradable fibers of polylactic acid. 具体地，控制含水量引发水解反应，对生物可降解的聚乳酸进行熔融处理。 In particular, controlling the water content to initiate hydrolysis reaction, the biodegradable polylactic acid melt process. 尽管不希望受理论限制，但相信存在于水中的羟基具有攻击聚乳酸酯键的能力，从而导致聚乳酸分子的链断裂或“解聚”，形成一个或多个较短的酯链。 While not wishing to be bound by theory, it is believed that hydroxyl groups present in the water has the ability to attack the ester bond of polylactic acid, a polylactic acid molecule causing strand breaks, or "depolymerization", form one or more shorter chain esters. 通过有选择地控制水解条件（例如含水量、温度、剪切速率等），可以得到分子量低于初始聚合物的水解降解的聚乳酸。 By selectively controlling the hydrolysis conditions (e.g., water content, temperature, shear rate, etc.) can be obtained by hydrolytic degradation of the initial molecular weight less than a polylactic acid polymer. 这种低分子量聚合物具有较高的熔体流动速率和较低的表观粘度，适用于多种纤维成形用途，如非织造纤网的熔喷法中。 This low molecular weight polymer having a high melt flow rate and low apparent viscosity, for a variety of fiber forming purposes, such as nonwoven webs of melt blown process. 聚乳酸通常由乳酸的任何异构体的单体单元生成，例如左旋乳酸（“L-乳酸”)、右旋乳酸（“D-乳酸”)、内消旋乳酸或其混合物。  The polylactic acid is usually generated from monomer units of any isomer of lactic acid, such as L-lactic acid ( "L-lactic acid"), D-lactic acid ( "D-lactic acid"), meso-lactic acid, or mixtures thereof. 单体单元也可以由任何乳酸异构体的酸酐， 包括L-丙交酯、D-丙交酯、内消旋丙交酯或其混合物制成。 Monomer units may also be made of any isomer of lactic acid anhydrides, including L- lactide, D- lactide, meso-lactide or mixtures thereof. 也可以使用乳酸和/或丙交酯的环状二聚体。 Lactic acid may also be used and / or the cyclic dimer lactide. 任何已知的聚合方法，如缩聚或开环聚合均可以用于聚合乳酸。 Any known polymerization method, such as polycondensation or ring-opening polymerization of lactic acid may be used in the polymerization. 也可以使用少量的扩链剂（例如二异氰酸酯化合物、环氧化合物或酸酐）。 It may also be used a small amount of chain extender (e.g., a diisocyanate compound, an epoxy compound or an acid anhydride). 聚乳酸可以为均聚物，或共聚物，如包含由L-乳酸衍生的单体单元和由D-乳酸衍生的单体单元的共聚物。 The polylactic acid may be a homopolymer or a copolymer, such as a copolymer comprising monomer units derived from L- lactic acid and the monomer unit derived from D- lactic acid. 尽管不是必需的，由L-乳酸衍生的单体单元和由D-乳酸衍生的单体单元的含量之比优选为约85摩尔％，在一些实施方案中为约90摩尔％或更多，在一些实施方案中为约95摩尔％或更多。 Although not required, the content of the monomer units and monomer units derived from D- lactic acid derived from L- lactic acid is preferably from about 85 mole%, in some embodiments from about 90 mole% or more, in some embodiments from about 95 mole% or more. 多种聚乳酸，每种具有不同的由L-乳酸衍生的单体单元与由D-乳酸衍生的单体单元之间的比例，可以以任意百分比混合。 Variety of polylactic acids, each having a different ratio between monomer units derived from L- lactic acid and D- lactic acid unit derived from a monomer may be mixed in any percentage. 当然，聚乳酸也可以与其它类型的聚合物（例如，聚烯烃、 聚酯等）混合，以提供如加工、形成纤维等多种不同的益处。 Of course, the polylactic acid may be a variety of different benefits like fibers with other types of polymers (e.g., polyolefin, polyester, etc.) were mixed, to provide such processing. 可以用于本发明的适合的聚乳酸聚合物的一个具体例子购自德国Krailling 的Biomer，he.，名为BIOMER™ L9000。  may be used in a specific example of a suitable polylactic acid polymer of the present invention are available from the German Krailling Biomer, he., Entitled BIOMER ™ L9000. 其它适合的聚乳酸聚合物购自明尼苏达州的Minnetonka 的Natureworks LLC, (NATUREWORKS®)或Mitsui Chemical (LACEA™)。 Other suitable polylactic acid polymers available from Minnesota Minnetonka of Natureworks LLC, (NATUREWORKS®) or Mitsui Chemical (LACEA ™). 其它适宜的聚乳酸在美国专利No. 4，797，468、No. 5，470, 944、No. 5，770, 682、 No. 5，821，327,No. 5，880，254和No. 6，326，458中有描述，在此将其全文引入作为用于各种用途的参考。 Other suitable polylactic acid in U.S. Patent No. 4,797,468, No. 5,470, 944, No. 5,770, 682, No. 5,821,327, No. 5,880,254 and No. it is described in 6,326,458, incorporated herein by reference in its entirety for various applications. 通常，聚乳酸典型的数均分子量（“Mn”）范围为约40，000至约160，000克/摩尔，在一些实施方案中为约50，000至约140，000克/摩尔，在一些实施方案中为约80，000 至约120，000克/摩尔。  Generally, the typical number average molecular weight of polylactic acid ( "Mn") ranging from about 40,000 to about 160,000 g / mole, in some embodiments, from about 50,000 to about 140,000 g / mol in some embodiments, about 80,000 to about 120,000 g / mol. 同样，聚合物的重均分子量（“Mw”）范围通常为约80，000至约200，000克/摩尔，在一些实施方案中为约100，000至约180，000克/摩尔，在一些实施方案中为约110，000至约160，000克/摩尔。 Also, the weight average molecular weight ( "Mw") generally range from about 80,000 to about 200,000 g / mole, in some embodiments, from about 100,000 to about 180,000 g / mole, in some embodiments from about 110,000 to about 160,000 g / mol. 重均分子量与数均分子量之比（“轧/M/)，即“多分散性指数”还相对较低。例如，多分散指数通常为约1. 0至约3. 0，在一些实施方案中为约1. 1至约2. 0，在一些实施方案中为约1. 2至约1. 8。重均和数均分子量可以通过本领域技术人员已知的方法测定。 A weight average molecular weight to number average molecular weight ratio ( "rolling / M /), i.e.," polydispersity index "is also relatively low. For example, the polydispersity index typically ranges from about 1.0 to about 3.0, in some embodiments, from about 1.1 to about 2.0, and number average molecular weight may be determined by present methods known to those skilled about 1.2 to about 1. 8. in some embodiments, a weight. 当在温度为190°C和剪切速率为1000秒―1时，聚乳酸的表观粘度可以为约50至约600帕斯卡·秒（Pa · s)，在一些实施方案中为约100至约500Pa · s，在一些实施方案中为约200至约400Pa · s。  When the temperature of 190 ° C and a shear rate of 1000 sec -1, the apparent viscosity of the polylactic acid may be from about 50 to about 600 Pascal-seconds (Pa · s), in some embodiments, from about about 100 to 500Pa · s, in some embodiments, from about 200 to about 400Pa · s. 聚乳酸的熔体流动速率（以干重计)范围也可以为约0. 1至约40克/10分钟，在一些实施方案中为约0. 5至约20克/10分钟，在一些实施方案中为约5 至约15克/10分钟。 Polylactic acid melt flow rate (dry basis) can range from about 0.1 to about 40 g / 10 min, in some embodiments, from about 0.5 to about 20 g / 10 min, in some embodiments embodiment is from about 5 to about 15 g / 10 min. 按照ASTM测试法D1238-E检测，熔体流动速率为聚合物在特定温度(如190°C)下，荷重2160g的十分钟内，被挤压通过挤出式流变仪的口（直径为0.0825英寸）的聚合物的重量（以克计）。 ASTM D1238-E detector according to the test method, a melt flow rate of polymer at a specific temperature (e.g. 190 ° C), 2160g load of ten minutes, is extruded through an extrusion rheometer orifice (0.0825 diameter inch) of the weight of the polymer (in grams). 通常，聚乳酸的熔点为约100°C至约240°C，在一些实施方案中为约120°C至约220°C，在一些实施方案中为约140°C至约200°C。  Generally, the melting point of polylactic acid is approximately between 100 ° C to about 240 ° C, in some embodiments, from about 120 ° C to about 220 ° C, in some embodiments from about 200 ° to about 140 ° C C. 使用这类聚乳酸是因为其快速被生物降解。 The use of such a polylactic acid because it is quickly biodegraded. 聚乳酸的玻璃化转变温度（“Tg”）可以相对较高，如约10°C至约80°C，在一些实施方案中为约20°C至约70°C，在一些实施方案中为约25°C至约65°C。 The glass transition temperature of polylactic acid ( "Tg") can be relatively high, such as from about 10 ° C to about 80 ° C, in some embodiments, from about 20 ° C to about 70 ° C, in some embodiments, from about 25 ° C to about 65 ° C. 正如下文中更详细地论述的，熔点温度和玻璃化转变温度均根据ASTM D-3417，使用差示扫描量热仪（“DSC”）测定。 As discussed in more detail below, the melting temperature and glass transition temperature were in accordance with ASTM D-3417, using a differential scanning calorimeter ( "DSC") measurement. 在适当的条件下，水能够水解降解起始聚乳酸，从而减少其分子量。  Under appropriate conditions, water can start hydrolytic degradation of polylactic acid, thereby reducing its molecular weight. 更具体地，相信水的羟基能够攻击聚乳酸的酯键，从而导致聚乳酸分子的链断裂或“解聚”，形成一个或多个较短酯链。 More specifically, it is believed to attack the water hydroxy ester bond of polylactic acid, a polylactic acid molecule causing strand breaks, or "depolymerization", form one or more short chain esters. 较短的链可以包括聚乳酸，以及乳酸单体或寡聚物的一小部分，以及上述任何一种的组合。 Shorter chains may include polylactic acid, and a combination of any of the above as well as a small portion of the monomer or oligomer of lactic acid. 相对聚乳酸，水的用量会影响水解反应能够进行的程度。 Relative polylactic acid, the amount of water will affect the degree of hydrolysis reaction can be carried out. 然而，如果含水量太高，超过了聚合物的固有饱和程度，这可以反过来影响得到的纤维的树脂熔融特性以及物理特性。 However, if the water content is too high, exceeding the inherent degree of saturation of the polymer resin melt characteristics obtained which can in turn affect the physical properties of the fibers as well. 因此，在本发明的大多数实施方案中，以初始聚乳酸的干重计，含水量为约500 至约5000份/百万（“ppm”)，在一些实施方案中为约1000到约4500ppm，在一些实施方案中为约2000至约3500ppm，在一些实施方案中为约2200至约3000ppm。 Thus, in most embodiments of the present invention, the initial dry weight of polylactic acid, a water content of from about 500 to about 5000 parts / million ( "ppm"), in some embodiments, from about 1000 to about 4500ppm , in some embodiments, from about 2000 to about 3500 ppm, in some embodiments, from about 2200 to about 3000ppm. 含水量可以以本领域已知的多种方法测定，如按照ASTM D 7191-05，如下文更详细描述的。 The water content can be determined in a variety of methods known in the art, such as in accordance with ASTM D 7191-05, as described in more detail. 本发明所使用的实现预期含水量的技术并不严格。 Implementation  The present invention is intended to use the water content of the art is not critical. 事实上，多种用于控制含水量的孰知抟术中的仵何一种均可以俥用，如Culbert等人的美国公开专利申请No. 2005/0004341和Gillette等人的美国公开专利申请No. 2001/0003874中描述的，在此将其全文引入作为用于各种用途的参考。 In fact, patients who are familiar with a variety of Tuan for controlling the water content of the WU any one kind can be used Ju, as disclosed in U.S. Patent Application No. Culbert et al., U.S. Patent Publication 2005/0004341 and Gillette et al., Application No . 2001/0003874 described, herein incorporated by reference in its entirety for various applications. 例如，初始聚合物的含水量可以通过选择特定的储存条件、干燥条件、湿度条件等加以控制。 For example, the initial water content of the polymer can be controlled by selecting a specific storage conditions, drying conditions, humidity conditions and the like. 在一个实施方案中，例如可以通过在特定的温度和特定的时间内，将聚合物颗粒与水性介质（例如，液体或气体）接触，使聚乳酸增湿以达到期望的含水量。 In one embodiment, for example, by a specific temperature and specific time, polymer particles with an aqueous medium (e.g., liquid or gas) into contact, polylactic acid humidified to achieve the desired moisture content. 这样能够使目标水份分散到聚合物结构中（润湿）。 Such water can be dispersed in the target polymer structure (wetting). 例如，聚合物可以储存在包含潮湿空气的包装或容器中。 For example, the polymer may be stored in a package or container comprising a moist air. 此外，在聚合物制造过程中，也可以控制聚合物的干燥程度，使得初始聚乳酸具有期望的含水量。 Further, in the polymer production process, it may control the degree of drying of the polymer, such that the initial moisture content of polylactic acid having a desired. 在其它实施方案中，如本发明所述，可以在聚乳酸熔融过程中加入水。 In other embodiments, as the present invention, water can be added to the polylactic acid melt process. 因此，术语“含水量”是指包括任何残留水份（例如因条件、干燥、 储存等而存在的水的量）以及在熔融过程中特意加入的任何水的总和。 Thus, the term "water content" is meant to include any residual water (e.g., an amount depending on the conditions, drying, storage and the like of the presence of water) and the sum of any water in the melting process of intentionally added. 尽管不是必需的，但在本发明的某些特定实施方案中，可以使用增塑剂，从而有助于降低聚乳酸的粘度和改善其柔性。  Although not necessary, but in certain embodiments of the invention, the plasticizer may be used to help reduce the viscosity of polylactic acid and improve its flexibility. 增塑剂为液体、半固体或固体化合物，具有相对低的分子量，如约200至约10，000,在一些实施方案中为约300到约9，000,在一些实施方案中为约500到约8，500。 The plasticizer is liquid, semi-solid or solid compound having a relatively low molecular weight, such as from about 200 to about 10,000, in some embodiments, from about 300 to about 9,000, in some embodiments, from about 500 to about 8,500. 通常，在本发明中可以使用任何与选择的聚乳酸相容的增塑剂，如邻苯二甲酸酯；酯类（例如，磷酸酯、醚二酯、羧酸酯、环氧化酯、脂肪族二酯、聚酯、共聚酯等）； 亚烷基二醇（例如，乙二醇，二甘醇，三甘醇，四甘醇，丙二醇，聚乙二醇，聚丙二醇，聚丁二醇等）；烷基二醇（例如，1，3_丙二醇，2，2_ 二甲基-1，3-丙二醇，1，3_ 丁二醇，1，4 丁二醇， 1，5_戊二醇，1,6-己二醇，2，2，4_三甲基-1，6-己二醇，1，3_环己基二甲醇，1，4_环己基二甲醇，2，2，4，4_四甲基-1，3-环丁二醇等）；氧化烯烃（例如，聚氧化乙烯，聚氧化丙烯等） 等。 Typically, in the present invention may be used to select any plasticizer compatible with the polylactic acid, such as phthalic acid esters; esters (e.g., phosphates, diester ethers, carboxylic acid esters, epoxidized esters, aliphatic diesters, polyesters, copolyesters and the like); alkylene glycols (e.g., ethylene glycol, diethylene glycol, triethylene glycol, tetraethylene glycol, propylene glycol, polyethylene glycol, polypropylene glycol, polybutadiene glycol, etc. ); alkyl diol (e.g., propylene glycol 1,3_, 2,2_-dimethyl-1,3-propanediol, 1,3_-butanediol, 1,4-butanediol, neopentyl 1,5_ diol, 1,6-hexanediol, 2,2,4_ trimethyl-1,6-hexanediol, cyclohexyl dimethanol 1,3_, 1,4_ cyclohexyl dimethanol, 2,2 , 4,4_-tetramethyl-1,3-cyclobutanediol and the like); alkylene oxide (e.g., polyethylene oxide, polypropylene oxide, etc.) and the like. 某些增塑剂，如亚烷基二醇、烷基二醇、氧化烯烃等可以具有一个或多个羟基，羟基也能够攻击聚乳酸的酯键，并导致链断裂。 Certain plasticizers, such as alkylene glycols, alkylene glycol, alkylene oxide or the like may have one or more hydroxyl groups, hydroxyl groups can be an ester bond of polylactic acid attack, and lead to strand breaks. 通过这种方式，这样的增塑剂不仅可以改善聚乳酸的柔性，而且它们也可以促进上述水解反应。 In this manner, such a plasticizer not only can improve the flexibility of polylactic acid, but they can also facilitate the above-described hydrolysis reaction. 例如，增塑剂的例子为聚乙二醇（“PEG”），其对于促进聚乳酸的水解降解特别有效。 For example, examples of the plasticizer is polyethylene glycol ( "PEG"), polylactic acid which is particularly effective for promoting hydrolytic degradation. 适合的PEk可以从多种来源购买，例如名称为PEG 600，PEG 8000等等。 Suitable PEk can be purchased from a variety of sources, such as the name PEG 600, PEG 8000, and so on. 这样的PE(is的例子包括Carbowax ™，其可以获自密西根州Midland 的Dow Chemical Co.。 Such PE (an example is include Carbowax ™, Midland, Michigan which can be obtained from the Dow Chemical Co ..
 使用时，以初始聚乳酸的干重计，增塑剂的用量可以为约0. 1重量％至约20重量％，在一些实施方案中为约0. 2重量％至约10重量％，在一些实施方案中为约0. 5重量％至约5重量<%。  When used, the initial dry weight of polylactic acid, the amount of plasticizer may range from about 0.1 wt% to about 20 wt%, in some embodiments from about 0.2 wt% to about 10 wt. %, in some embodiments from about 0.5 wt% to about 5 wt <%. 然而应该理解，增塑剂不是必需的。 However, it should be understood that the plasticizer is not required. 实际上，在本发明的一些实施方案中，反应组合物实质上可以不包含任何增塑剂，如以初始聚乳酸的干重计低于约0. 5重量％。 Indeed, in some embodiments of the invention, the reaction composition may not substantially contain any plasticizer, such as the initial dry weight of the polylactic acid is less than about 0.5 wt%. 由于各种原因当然可以使用其它组分。  Due to various reasons, other components may of course be used. 例如，在本发明的一些实施方案中，可以使用润湿剂以改善亲水性。 For example, in some embodiments of the present invention, a wetting agent may be used to improve hydrophilicity. 适用于本发明的润湿剂通常与聚乳酸相容。 Wetting agents suitable for use in the present invention are generally compatible with polylactic acid. 适合的润湿剂的例子可以包括表面活性剂，如均获自iTulsa, Okla的Petrolite Corporation的UNITHOX ® 480知UNITHOX ® 750乙氧基醇，或UNICID™酸酰胺乙氧基化物。 Examples of suitable wetting agents may include surfactants, such as all available from iTulsa, Petrolite Corporation of Okla UNITHOX ® 480 is known UNITHOX ® 750 ethoxylated alcohols, or UNICID ™ acid amide ethoxylates. 其它合适的润湿剂在Tsai等人的美国专利No. 6，177，193中有描述，在此将其全文引入作为用于各种用途的参考。 Other suitable wetting agents are described in Tsai et al., U.S. Pat. No. 6,177,193, herein incorporated by reference in its entirety for various applications. 还可以使用其它原料，包括但不限于熔体稳定剂、加工稳定剂、热稳定剂、光稳定剂、 抗氧化剂、颜料、表面活性剂、蜡、促流剂、微粒以及加入后提高可加工性的其它材料。 Other materials may also be used, including but not limited to, melt stabilizers, processing stabilizers, heat stabilizers, light stabilizers, antioxidants, pigments, surfactants, waxes, flow promoter, and the fine particles added to improve the workability other materials. 使用时，以初始聚乳酸干重计，这些附加成分通常的用量少于约5重量％，在一些实施方案中少于约1重量％，在一些实施方案中少于约0.5重量％。 When used, the initial dry weight of the polylactic acid, such additional ingredients generally used in amounts less than about 5 wt%, less than about 1 wt% in some embodiments, less than about 0.5 wt% in some embodiments. 水解反应可以用任何已知的多种技术进行。  The hydrolysis reaction can be carried out by any known variety of techniques. 例如，在一个实施方案中，当初始聚合物处于熔融状态（“熔融加工”）时进行反应，以使对其它溶剂和/或溶剂去除过程的需求最小化。 For example, in one embodiment, when the starting polymer is reacted in the molten state ( "melt processing"), so that the need for other solvents and / or solvent removal process is minimized. 原料（例如生物可降解聚合物、水等）可以分别提供或组合提供（例如在溶液中）。 Material (e.g., biodegradable polymer, water, etc.) may be provided separately or in combination provided (e.g. in solution). 同样地，原料可以同时或按顺序地提供给熔融加工装置，该装置分散地混合原料。 Likewise, raw materials can be simultaneously or sequentially supplied to the melt-processing apparatus dispersedly mixed raw material. 可以使用批处理和/或连续熔融加工技术。 You can use the batch and / or continuous melt processing techniques. 例如，混合机/捏合机、Banbury密炼机、Farrel 连续混炼机、单螺杆挤出机、双螺杆挤出机、滚磨机等，可以用于原料的混合和熔融加工。 For example, a mixer / kneader, Banbury mixer, a Farrel continuous mixer, single-screw extruder, a twin screw extruder, roll mill or the like, can be used for mixing and melt-processing of raw materials. 一种特别合适的熔融加工装置是同向双螺杆挤出机（例如^K-30双螺杆挤出机，得自新泽西州Ramsey的Werner & PfleidererCorporation)。 One particularly suitable melt processing means is the same direction twin screw extruder (e.g., ^ K-30 twin screw extruder, available from Ramsey, New Jersey Werner & PfleidererCorporation). 这种挤出机可以包括进料口和通风口， 并提供高强度分配性和分散性混合，这有助于水解反应。 Such extruders may include feeding and vents, and to provide dispersive mixing and dispensing a high strength, which contributes to the hydrolysis reaction. 例如，可以将初始的聚乳酸送至双螺杆挤出机的进料口并熔融。 For example, the polylactic acid may initially be sent to the feed inlet of a twin screw extruder and melted. 如果需要，随后可以将水注入到聚合物熔体中和/或在沿其长度方向上的不同点分别送入挤出机。 If desired, water can then be injected into the polymer melt and / or at different points along the longitudinal direction thereof are fed to the extruder. 另外，可以简单地将聚乳酸以预湿状态供料。 Further, polylactic acid can simply be pre-wetted state in a feed. 不考虑所选择的特定熔融加工技术，在高剪切/压力和加热条件下混合原料，以确保水解反应发生。  Regardless of the particular melt processing technique selected, the raw material mixed under high shear / pressure and heat conditions, to ensure that the hydrolysis reaction occurs. 例如，熔融过程可以在温度为约100°C至约500°C下发生，在一些实施方案中为约150°C至约350°C，在一些实施方案中为约175°C至约300°C。 For example, the melting process may occur at a temperature of about between 100 ° C to about 500 ° C lower, and in some embodiments is approximately 150 ° C to about 350 ° C, in some embodiments from about 300 ° to about 175 ° C C. 同样地，在熔融过程中的表观剪切速率的范围可以为约100秒―1至约10，000秒―1，在一些实施方案中为约500秒―1至约5000秒―1，在一些实施方案中为约800秒―1至约1200秒人表观剪切率等于4Q/π R3，其中Q是聚合物熔体的体积流速（“m3/S”），R是熔融聚合物流过的毛细管（例如挤出模具）的半径（“m”）。 Likewise, the apparent shear rate range of the melting process may be about 100 sec -1 to about 10,000 sec -1, of about 500 seconds -1 to about 5000 sec -1, in some embodiments, the Some embodiments from about 800 to about 1200 sec-1 apparent shear rate is equal to the second person 4Q / π R3, wherein Q is a polymer melt volume flow rate ( "m3 / S"), R is a molten polymer to flow through capillary (e.g., extruder die) of the radius ( "m"). 当然，其它变量如熔融加工中与生产率成反比的停留时间，也可以加以控制以实现理想的水解度。 Of course, other variables, such as melt processing and productivity is inversely proportional to the residence time, it may be controlled to achieve a desired degree of hydrolysis. 如上所述，在适当的温度和剪切条件下，形成分子量低于初始聚乳酸的分子量的水解降解聚合物。  As described above, under appropriate conditions of temperature and shear to form an initial hydrolysis of a molecular weight lower than the molecular weight of polylactic acid biodegradable polymer. 例如，重均和/或数均分子量均可以降低，使得初始聚乳酸的分子量与水解降解的聚乳酸的分子量之比为至少约1. 1，在一些实施方案中为至少约1.4，在一些实施方案中为至少约2.0。 For example, the weight-average and / or a number average molecular weight can be reduced, so that the initial ratio of the molecular weight of polylactic acid and polylactic acid hydrolytic degradation of molecular weight of at least about 1.1, at least about 1.4, in some embodiments In some embodiments, embodiment of at least about 2.0. 例如，水解降解聚乳酸的数均分子量（“Mn”）范围为约10，000至约105，000克/摩尔，在一些实施方案中为约20，000至约100，000克/摩尔，在一些实施方案中为约30，000至约90，000克/摩尔。 For example, hydrolytic degradation of polylactic acid number average molecular weight ( "Mn") ranging from about 10,000 to about 105,000 g / mole, in some embodiments, from about 20,000 to about 100,000 g / mol, in Some embodiments from about 30,000 to about 90,000 g / mol. 同样地，水解降解聚乳酸的重均分子量（“Mw”）为约20，000至约140，000克/摩尔，在一些实施方案中为约30，000至约120，000克/摩尔， 在一些实施方案中为约50，000至约100，000克/摩尔。 Likewise, hydrolytic degradation of the polylactic acid weight average molecular weight ( "Mw") of about 20,000 to about 140,000 g / mole, in some embodiments from about 30,000 to about 120,000 g / mol, in some embodiments from about 50,000 to about 100,000 g / mol. 除了具有较低的分子量，与初始聚合物相比，水解降解的聚乳酸还可以具有较低的表观粘度和较高的熔体流动速率。  In addition to low molecular weight, compared to the initial polymer, polylactic acid hydrolytic degradation also may have a lower apparent viscosity and higher melt flow rate. 例如，可以降低表观粘度，使得初始聚乳酸的粘度与水解降解聚乳酸的粘度之比为至少约1. 1，在一些实施方案中为至少约2，在一些实施方案中为约15至约100。 For example, the apparent viscosity can be reduced, so that the initial viscosity of the hydrolyzed polylactic acid degradable polylactic acid viscosity ratio of at least about 1.1, in some embodiments at least about 2, in some embodiments, from about 15 to about 100. 同样地，可以增加熔体流动速率，使得水解降解的聚乳酸的熔体流动速率与初始聚乳酸的熔体流动速率（以干重计）之比为至少约1. 5，在一些实施方案中为至少约5，在一些实施方案为至少约10，在一些实施方案中为约30至约100。 Likewise, the melt flow rate can be increased, so that the melt flow rate The melt flow rate of hydrolytic degradation of the initial polylactic acid polylactic acid (dry weight) ratio of at least about 1.5, in some embodiments of at least about 5, in some embodiments, at least about 10, in some embodiments, from about 30 to about 100. 在一个特定实施方案中，在温度为190°C和剪切速率为100(^^-1时测定的水解降解聚乳酸的表观粘度可以为约5至约250帕斯卡秒（Pa · s)，在一些实施方案中为约8至约150Pa · s，在一些实施方案中为约10至约IOOPa ·8。水解降解的聚乳酸的熔体流动速率（干基）的范围可以为约10至约1000克/10分钟，在一些实施方案中为约20至约900克/10分钟，在一些实施方案中为约100至约800克/10分钟（190°C、2. 16kg)。当然，可以根据预期应用的不同，水解反应使分子量、表观粘度和/或熔体流动速率变化的程度可以有所不同。 In a particular embodiment, at a temperature of 190 ° C and a shear rate of 100 (^^ - hydrolytic degradation of polylactic acid 1:00 apparent viscosity measurement may be from about 5 to about 250 Pascal seconds (Pa · s), in some embodiments, about 8 to about 150Pa · s, in some embodiments, from about 10 to about IOOPa · 8. range hydrolytic degradation of the polylactic acid melt flow rate (dry basis) can range from about 10 to about 1000 g / 10 min, in some embodiments, from about 20 to about 900 g / 10 min, in some embodiments, from about 100 to about 800 g / 10 min (190 ° C, 2. 16kg). of course, depending on the intended application, so that the molecular weight of the hydrolysis reaction, and the degree or rate of change of apparent viscosity melt flow / can vary. 尽管与初始聚合物的某些特性不同，但是水解降解的聚乳酸还保留了初始聚合物的其它特性。  Although certain properties different from the starting polymer, hydrolytic degradation of the polylactic acid but also retains the other characteristics of the starting polymer. 例如，热特性（例如Tg、Tm和熔化潜热）通常保持与初始聚合物基本相同，如落入上述范围中。 For example, thermal characteristics (e.g., Tg, Tm and melting latent heat) typically remains substantially the same as the initial polymer, such as falls within the above range. 而且，尽管实际分子量可以不同，水解降解的聚乳酸的多分散指数可以保持与初始聚合物基本相同，如在约ι. O至约3. 5的范围内，在一些实施方案中为约1. 1至约2. 5，在一些实施方案中为约1. 2至约2. 0。 Further, although the actual molecular weight may vary, polydispersity index hydrolytic degradation of polylactic acid can be maintained substantially the same as the initial polymer, such as between about ι. O to the range of about 3.5, in some embodiments, from about 1. 1 to about 2.5, in some embodiments, from about 1.2 to about 2.0. 由水解降解的聚乳酸形成的纤维通常具有任何理想的构造，包括单组分、多组分(例如皮-芯型、并列型、橘瓣型、海岛型等等），和/或多成分（如聚合物混合物）。  The hydrolytic degradation of the fibers by the formation of polylactic acid generally have any desired configuration, including monocomponent, multicomponent (e.g., sheath - core type, parallel type, segmented pie, islands-like), and / or multi-component (e.g., the polymer mixture). 在一些实施方案中，纤维可以包含一种或多种其它聚合物作为组分（例如双组分）或成分（例如双成分），以进一步提高强度和其它的机械性能。 In some embodiments, the fibers may comprise one or more other polymers as component (e.g., bicomponent) or ingredient (e.g., biconstituent) to further increase the strength and other mechanical properties. 例如，水解降解的聚乳酸可以形成皮/芯型双组分纤维的“皮”，而其它聚合物可以形成“芯”组分，或反之亦然。 For example, polylactic acid can be hydrolytically degradable form sheath / core bicomponent fibers of the "skin", while other polymers may be to form a "core" components, or vice versa. 其它聚合物可以是通常不认为是生物可降解的热塑性聚合物，如聚烯烃，例如聚乙烯、聚丙烯、聚丁烯等；聚四氟乙烯；聚酯，例如聚对苯二甲酸乙二酯等；聚醋酸乙烯酯；聚氯乙烯醋酸乙烯酯；聚乙烯醇缩丁醛；丙烯酸树脂，例如聚丙烯酸酯、聚丙烯酸甲酯、聚甲基丙烯酸甲酯等等；聚酰胺， 如尼龙；聚氯乙烯；聚偏二氯乙烯；聚苯乙烯；聚乙烯醇和聚氨酯。 Other polymers may generally not considered biodegradable thermoplastic polymers, such as polyolefins such as polyethylene, polypropylene, polybutylene and the like; polytetrafluoroethylene; polyesters such as polyethylene terephthalate and the like; polyvinyl acetate; polyvinyl acetate; polyvinyl butyral; acrylic resins, such as polyacrylates, polymethyl acrylate, polymethyl methacrylate and the like; polyamides, such as nylon; poly chloride; polyvinylidene chloride; polystyrene; polyvinyl alcohol and polyurethane. 然而，更希望其它聚合物是生物可降解的，如脂肪族聚酯，如聚酯酰胺、修饰的聚对苯二甲酸乙二酯、聚乳酸（PLA) 及其共聚物、基于聚乳酸的三元共聚物、聚乙醇酸、聚碳酸亚烷基酯（如聚碳酸亚乙基酯）、 聚羟基烷基酸酯（PHA)、聚羟基丁酸酯（PHB)、聚羟基戊酸酯（PHV)、聚羟基丁酸酯-羟基戊酸酯共聚物（PHBV)和聚己内酯，以及基于琥珀酸的脂肪族聚合物（例如，聚丁二酸丁二醇酯，聚丁二酸己二酸-丁二醇酯和聚丁二酸乙二醇酯）；芳香族聚酯或其它脂肪族-芳香族共聚酯。 However, other more desirable polymers are biodegradable, such as aliphatic polyesters, such as polyesteramides, modified polyethylene terephthalate, polylactic acid (PLA) and its copolymers, polylactic acid-based three terpolymers, polyglycolic acid, alkylene carbonate (e.g., poly ethylene carbonate), polyhydroxyalkanoates (PHA), polyhydroxybutyrate (the PHB), polyhydroxy valerate (PHV ), polyhydroxybutyrate - hydroxyvalerate copolymers (of PHBV) and polycaprolactone, and succinate-based aliphatic polymers (e.g., polybutylene succinate, polybutylene succinate adipate acid - butylene glycol and polyethylene succinate); aromatic polyester or other aliphatic - aromatic copolyester. 多种工艺中的任何一种均可以用于形成本发明的纤维。  any of a variety of processes can be used to form the fiber of the invention. 例如，参照图1，显示了用于形成熔喷纤维的方法的一个实施方案。 For example, referring to FIG. 1, one embodiment of a method for forming the meltblown fibers. 熔喷纤维形成了具有小平均孔径的结构，其可以用于防止液体和颗粒通过，但允许气体（例如空气和水蒸气）通过。 Meltblown fibers forming a structure having a small average pore size, which may be used to prevent fluid and particles pass through, but allows a gas (e.g., air and water vapor) through. 为了达到所需的孔径， 熔喷纤维通常为“微纤维”，因为它的平均尺寸为10微米或更小，在一些实施方案中为约7 微米或更小，在一些实施方案中为约5微米或更小。 To achieve the desired pore size, the meltblown fibers are typically "microfibers", in that the average size of 10 microns or less, in some embodiments about 7 micrometers or less, in some embodiments, from about 5 microns or less. 在本发明中，可以通过使用同时具有所需的低表观粘度和高熔体流动速率的水解降解的聚乳酸提高制造这种精细纤维的能力。 Hydrolytic degradation of polylactic acid in the present invention, may have the desired low apparent viscosity and high melt flow rate while increasing the ability to manufacture by using such fine fibers. 例如，在图1中，原料（例如聚合物、增塑剂等）从送料斗10进入挤出机12。  For example, in FIG. 1, the raw material (e.g. a polymer, a plasticizer) into the extruder 10 from a hopper 12. 可以采用任何常规技术以及在任何状态下将原料供应给送料斗10。 Any conventional technique may be employed in any state, and the raw material supplied to the hopper 10. 另外，可以将聚乳酸送入送料斗10，并且可以从送料斗10将二醇注入到挤出机12下游中的聚乳酸熔体内。 Further, the polylactic acid may be fed into the hopper 10, and may be injected from a hopper 10 into the extruder diol 12 downstream of the polylactic acid melt. 挤出机12 由电动机11驱动并被加热至足以挤出聚合物并引发水解反应的温度。 Extruder 12 driven by a motor 11 and is heated to a temperature sufficient to initiate and extruded polymer hydrolysis reaction. 例如，挤出机12可以使用一个或多个温度为约100°C至约500°C的操作区，在一些实施方案中为约150°C至约350°C，在一些实施方案中为约175°C至约300°C。 For example, the extruder 12 may employ one or more temperature is between 100 ° C to about the operating area of ​​about 500 ° C, in some embodiments is approximately 150 ° C to about 350 ° C, in some embodiments, from about 175 ° C to about 300 ° C. 典型的剪切速率范围为约100秒―1至约10，000秒―1，在一些实施方案中为约500秒―1至约5000秒、在一些实施方案中为约800 秒―1至约1200秒Λ如果需要，挤出机还可以具有一个或多个除去聚合物中多余水分的区域，如真空区等。 Typical shear rates range from about 100 sec -1 to about 10,000 sec -1, in some embodiments from about 500 seconds -1 to about 5000 seconds, in some embodiments, from about 1 to about 800 seconds 1200 seconds Λ If desired, the extruder may also have one or polymeric region of excess water, such as a plurality of zones removed in vacuo. 挤出机也可以是通气的，能够排出挥发性气体。 The extruder may also be vented, the volatile gases can be discharged. 一旦形成水解降解的聚乳酸，它随后可以被送至纤维生产线中的另一个挤出机(例如，熔喷纺丝生产线的挤出机12)。  Once the formation of hydrolytic degradation of polylactic acid, which can then be sent to the other fiber production line in an extruder (e.g., melt-blowing extruder line 12). 另外，水解降解的聚合物可以通过送至模具14直接形成纤维，模具14被加热器16加热。 Further, hydrolytically degradable polymer can be formed directly by the fiber to the mold 14, the mold 14 is heated by the heater 16. 应当理解的是也可以使用其它的熔喷模头（die tip)。 It should be understood that the other may be used meltblowing dies (die tip). 当聚合物离开模具14的口19时，由管道13输入的高压流体（例如热空气）衰减并将聚合物流分散成微纤维18。 When the polymer exiting the die 19 of the port 14, the high pressure fluid (e.g., hot air) by the input conduit 13 and attenuating the polymer stream into microfibers dispersed 18. 尽管未在图1中显示，模具14也可以设置在邻近或接近其它材料(例如纤维素纤维、颗粒等）流过的滑槽的位置，其它材料流过滑槽与挤出的聚合物相互混合并形成“同成形”纤网。 Although not shown in FIG. 1, the mold 14 may be provided at a position adjacent the chute flows or proximity to other materials (e.g. cellulose fibers, particles, etc. ), and other material flow through the chute extruded polymer mixed with one another and forming a "coform" webs. 微纤维18随机沉积在有孔表面20上（由辊21和23驱动），在任选的吸入箱15 的辅助下形成熔喷纤网22。  18 randomly deposited microfibers, meltblown web 22 is formed with the aid of an optional suction box 15 (driven by the rollers 21 and 23) on the foraminous surface 20. 模头和有孔表面20之间的距离通常较小以改善纤维沉降的均勻性。 From the surface of the die hole 20 and is generally small to improve the uniformity of the fibers settle. 例如，距离可以为约1至约35厘米，在一些实施方案中为约2. 5至约15厘米。 For example, the distance may be from about 1 to about 35 cm, in some embodiments, from about 2.5 to about 15 centimeters. 在图1中，箭头观的方向是形成纤网的方向（即“机器方向”），且箭头30指向与机器方向垂直的方向（即“与机器垂直方向”）。 In Figure 1, the direction of the arrow direction is formed in the concept of the web (i.e., the "machine direction"), and a direction perpendicular to the machine direction of the arrow 30 points to (i.e., "vertical machine"). 可选择地，熔喷纤网22随后可以被辊对和沈挤压。 Alternatively, the meltblown web 22 may then be heavy and pressing rollers. 可以根据需要的应用改变所需的纤维旦数。 The fiber denier can be changed according to the desired application needs. 通常，形成的纤维的单丝纤度（即线密度单位等于每9000米的纤维以克计的质量）低于约6，在一些实施方案中低于约3，在一些实施方案中为约0. 5至约3。 Typically, the monofilament fineness of the fiber is formed (i.e., the line density equal per 9000 meters of fiber mass in grams) less than about 6, less than about 3, in some embodiments, in some embodiments, from about 0. 5 to about 3. 此外，纤维通常的平均直径为约0. 1至约20微米，在一些实施方案中为约0.5至约15微米，在一些实施方案中为约1至约10微米。 Moreover, the fibers typically have an average diameter of from about 0.1 to about 20 micrometers, in some embodiments, from about 0.5 to about 15 micrometers, in some embodiments, from about 1 to about 10 microns. 一旦形成，随后可以使用任何常规技术，如采用粘合剂粘合或自发粘合（例如，纤维的熔融和/或自粘合而不用外加粘合剂）非织造纤网。  Once formed, then any conventional technique may be used, such as self-adhesive bonding or using an adhesive (e.g., melting the fibers and / or self-bonding without additional adhesive) nonwoven web. 例如，自发粘合可以通过当纤维半熔融或发粘时使纤维接触，或仅通过将增粘树脂和/或溶剂与用于形成纤维的聚乳酸混合而实现。 For example, the fibers may be self-bonding when the fibers by contacting the semi-molten or tacky, or realized only by tackifier resin and / or solvent used to form the mixture of polylactic acid fibers. 适宜的自发粘合技术可以包括超声波粘合、热粘合、热气穿透粘合、热轧粘合等。 Suitable autogenous bonding techniques may include ultrasonic bonding, thermal bonding, hot air through bonded, calendar bonding and the like. 例如，纤网可以进一步通过热-机械工艺与图案粘合或压印形成图案，在热-机械工艺中纤网在加热的光滑轧辊与加热的图案轧辊之间通过。 For example, the web may be further by heat - the pattern forming process of patterning an adhesive or a mechanical embossing, at thermal - mechanical process between the web the pattern roll and a heated smooth roll by heating. 图案轧辊可以具有任何凸起的图案，以提供所需纤网的特性或外观。 Pattern roll may have any raised pattern, to provide a desired appearance or properties of the web. 期望的是，图案轧辊限定了凸起的图案，凸起图案限定了多种粘合位置，粘合位置限定的粘合面积是轧辊总面积的约2%至30%。 Desirably, the pattern roll defines a raised pattern, the raised pattern defines a plurality of binding sites, the binding sites are defined bond area from about 2 to 30% of the total area of ​​the roll. 粘合图案的例子包括，例如Hansen等人的美国专利No. 3，855，046、Levy等人的美国专利No. 5，620, 779、Haynes等人的美国专利No. 5，962，112.Sayovitz等人的美国专利No. 6，093, 665以及Romano等人的美国外观设计专利No. 428，267、Brown的美国外观设计专利No. 390, 708、Zander等人的美国外观设计专利No. 418，305、Zander等人的美国外观设计专利No. 384，508、Zander等人的美国外观设计专利No. 384，819、Zander等人的美国外观设计专利No. 358，035和Blenke等人的美国外观设计专利No. 315，990中描述的，在此将其全文引入作为用于各种用途的参考。 Examples bonding pattern include, for example, Hansen et al., U.S. Pat. No. 3,855,046, Levy et al., U.S. Patent No. 5,620, 779, Haynes et al., U.S. Patent No. 5,962,112. Sayovitz et al., U.S. Patent No. 6,093, 665 and Romano et al., U.S. design Patent No. 428,267, Brown U.S. design Patent No. 390, 708, Zander et al., U.S. design Patent No. US design Patent 418,305, Zander et al., US design Patent No. 384,508, Zander et al, No. 384,819, Zander et al., US design Patent No. 358,035 and Blenke et al. 315,990 is described in U.S. design Patent No., herein incorporated by reference in its entirety for various applications. 辊之间的压力可以为每线性英寸约5至约2000磅。 The pressure between the rollers may be from about 5 per linear inch to about 2000 pounds. 平衡辊之间的压力和辊的温度，从而在保持布样的特性的同时获得所需的纤网性质或外观。 Temperature of the pressure roller and the balance between the rolls, so as to obtain desired web properties or appearance while maintaining cloth like properties. 正如本领域技术人员所公知的， 所需温度和压力可以根据多种因素变化，包括但不限于图案粘合面积、聚合物性质、纤维性质、非织造性质。 As is well known to those skilled in the art, the required temperature and pressure can vary depending on various factors, including, but not limited to, pattern bond area, polymer properties, fiber properties, the nonwoven properties. 除了熔喷纤网，还可以由根据本发明的水解降解的聚乳酸形成多种其它非织造纤网，如纺粘纤网、粘合梳理纤网、湿法纤网、气流纤网、同成形纤网、水力纠缠纤网(hydraulically entangled web)等。  In addition to meltblown webs, may also be formed by the hydrolytic degradation of polylactic acid according to the present invention, a variety of other nonwoven webs such as spunbond webs, bonded carded webs, wet-laid webs, airlaid webs , coform web, the hydraulic entanglement web (hydraulically entangled web) and the like. 例如，聚合物可以通过喷丝头挤出、骤冷并拉伸形成基本上连续的细丝，并随机沉积在成形面上。 For example, the polymer may be extruded through a spinneret, quenched and drawn filaments form a substantially continuous and randomly deposited on the forming surface. 另外，聚合物可以通过将由混合物形成的成捆纤维置于分散纤维的拣选机中形成梳理纤网。 Further, the fiber bundle may be formed by a polymer mixture is placed by the picker dispersed fibers formed a carded web. 接着，纤维被运送通过梳理或梳分装置，进一步分开并沿机器方向排列，以形成沿机器方向定向的纤维非织造纤网。 Next, the fibers are transported through a comb or comb-sub-device, and arranged further apart in the machine direction to form a machine direction-oriented fibrous nonwoven web. 一旦成形后，非制造纤网通常可以通过一种或多种已知的粘合技术来稳定。 Once formed, the non-web is usually manufactured can be stabilized by one or more known bonding techniques. 如果需要，非织造纤网也可以是复合材料，其包含水解降解的聚乳酸纤维和其它类型的纤维（例如短纤维、细丝等）的组合。  If desired, the nonwoven web may be a composite material comprising hydrolytically degradable polylactic acid fibers and other types of fibers (e.g., staple fibers, filaments, etc.) in combination. 例如，可以使用其它合成纤维，如由聚烯烃， 例如聚乙烯、聚丙烯、聚丁烯等；聚四氟乙烯；聚酯，如聚对苯二甲酸乙二酯等；聚醋酸乙烯酯；聚氯乙烯醋酸乙烯酯；聚乙烯醇缩丁醛；丙烯酸树脂，例如聚丙烯酸酯、聚丙烯酸甲酯、 聚甲基丙烯酸甲酯等等；聚酰胺，如尼龙；聚氯乙烯；聚偏二氯乙烯；聚苯乙烯；聚乙烯醇； 聚氨酯；聚乳酸等形成的合成纤维。 For example, other synthetic fibers, such as polyolefin such as polyethylene, polypropylene, polybutylene and the like; polytetrafluoroethylene; polyesters such as polyethylene terephthalate and the like; polyvinyl acetate; poly vinyl chloride-vinyl acetate; polyvinyl butyral; acrylic resins, such as polyacrylates, polymethyl acrylate, polymethyl methacrylate and the like; polyamides, such as nylon; polyvinyl chloride; polyvinylidene chloride ; polystyrene; synthetic fibers such as polylactic acid is formed; polyvinyl alcohols; polyurethanes. 如果需要，也可以使用生物可降解的聚合物，如聚乙醇酸（PGA)、聚乳酸（PLA)、聚（β-苹果酸）（PMLA)、聚ε -己内酯（PCL)、聚对二氧环己酮(PDS)、聚琥珀酸丁二醇酯（PBQ和聚3-羟基丁酸酯（PHB)。一些已知的合成纤维的例子包括皮芯型双组分纤维，得自北卡罗莱纳州Charlotte的KoΜ Inc.，名为T-255和T-256，二者采用聚烯烃皮，或Τ-254，其具有低熔点共聚酯皮。还可以使用的其它已知的双组分纤维， 包括得自日本Moriyama 的ChissoCorporation 或Delaware Wilmington 的Fibervisions LLC的双组分纤维。也可以使用聚乳酸短纤维，如购自台湾的Far Eastern Textile，Ltd的聚乳酸短纤维。 If desired, use may also be biodegradable polymers such as polyglycolic acid (PGA), polylactic acid (PLA), poly ([beta] malic acid) (PMLA), poly-ε - caprolactone (PCL), poly dioxanone (the PDS), polybutylene succinate (of PBQ and poly-3-hydroxybutyrate (PHB). Some examples of known synthetic fibers include sheath-core bicomponent fibers, available from North Charlotte, North Carolina KoΜ Inc., called the T-255 and T-256, both use a polyolefin sheath, or Τ-254, co-polyester sheath having a low melting point can also be used in other known bis component fibers, available from Japan Moriyama comprising a Delaware Wilmington ChissoCorporation or Fibervisions LLC of bicomponent fibers may also be used polylactic acid staple fibers, such as available from Taiwan Far Eastern Textile, Ltd polylactic acid staple fibers. 复合材料还可以包含纸浆纤维，如高度平均纤维长度纸浆、低度平均纤维长度纸浆或其混合物。  The composite material may also comprise pulp fibers, such as high-average fiber length pulp, low-average fiber length pulp, or mixtures thereof. 适宜的高度平均长度绒毛浆纤维的一个例子包括软木牛皮纸浆纤维。 An example of highly suitable average length fluff pulp fibers includes softwood kraft pulp fibers. 软木牛皮纸浆纤维源自针叶树，并且包括纸浆纤维，如但不限于北方、西方和南方针叶树种， 包括红杉、红松、铁杉、花旗松、真冷杉、松树（例如，南方松）、云杉（例如，黑云杉）及其组合等。 Softwood kraft pulp fibers from softwood, and includes pulp fibers, such as, but not limited to, northern, western, and southern softwood species, including redwood, pine, hemlock, Douglas fir, true firs, pine (e.g., southern pine), cloud fir (e.g., black spruce) and combinations thereof. 北方软木牛皮纸浆纤维可以用于本发明。 Northern softwood kraft pulp fibers may be used in the present invention. 适用于本发明的商购的南方软木牛皮纸浆纤维的例子包括获自办公场所位于华盛顿Inderal Way的Weyerhaeuser Company的那些，商品名为“NF-405”。 Examples of suitable commercially available southern softwood kraft pulp fiber of the present invention include obtained from offices in Washington, Inderal Way of those Weyerhaeuser Company, under the trade name "NF-405". 用于本发明的另一种适宜纸浆是漂白的硫酸盐木浆，其主要包含软木纤维，获自办公场所位于位于南卡罗来纳州Greenville的Bowater Corp，商品名为CoosAbsorb S纸浆。 Another suitable pulp is used in the present invention is a bleached kraft pulp, softwood fibers comprising mainly obtained from offices located in Greenville, South Carolina located in Bowater Corp, under the tradename CoosAbsorb S pulp. 低度平均长度纤维也可以用于本发明。 Low average fiber length may also be used in the present invention. 合适的低度平均长度纸浆纤维的例子是硬木牛皮纸浆纤维。 Examples of suitable low-average length pulp fibers is hardwood kraft pulp fibers. 硬木牛皮纸浆纤维源自落叶树，且包括纸浆纤维，如但不限于桉树、枫树、桦树、杨树等。 Hardwood kraft pulp fibers derived from deciduous trees and include pulp fibers such as, but not limited to, eucalyptus, maple, birch, poplar. 桉树牛皮纸浆纤维是特别需要的，以提高柔软性、增加亮度、增加不透明度，并改变纸页的孔结构以提高其芯吸能力。 Eucalyptus kraft pulp fibers is particularly desirable to improve the flexibility, increase the brightness, increase the opacity, and change the pore structure of the sheet to increase its wicking ability. 非织造复合材料可以使用多种已知技术成形。  The nonwoven composite material may be formed using a variety of known techniques. 例如，非织造复合材料可以是包含水解降解的聚乳酸纤维和吸收性材料的混合物或稳定基质的“同成形材料”。 For example, the nonwoven composite material may be hydrolytically degradable polylactic acid fibers, and a mixture or stabilized matrix of absorbent material "coform material" comprising. 例如，可以通过这样的方法制备同成形材料，在该方法中至少一个熔喷模头位于滑槽附近，在纤网形成时吸收材料通过滑槽被加到纤网中。 For example, the coform material may be prepared by such a method, the at least one meltblown die head is located in the chute in the process, the absorbent material is formed when the web is applied to the web by the chute. 这样的吸收材料可以包括但不限于纸浆纤维、高吸收性颗粒、无机和/或有机吸收材料、处理的聚合物短纤维等。 Such absorbent materials may include, but are not limited to pulp fibers, superabsorbent particles, inorganic and / or organic absorbent polymeric staple fiber material treated. 吸收材料的相对百分比可以根据所需非织造复合材料的特性而在较宽的范围内变化。 Relative percentage of the absorbent material may vary over a wide range depending on the characteristics desired nonwoven composite material. 例如，非织造复合材料可以包含约1 重量％至约60重量％，在一些实施方案中为5重量％至约50重量％，在一些实施方案中为约10重量％至约40重量％的水解降解的聚乳酸纤维。 For example, the nonwoven composite material may comprise from about 1% to about 60 wt.%, In some embodiments from 5 wt% to about 50 wt%, in some embodiments, from about 10 wt% to about 40 wt.% Hydrolyzed degradation of polylactic acid fibers. 同样地，非织造复合材料可以包含约40重量％至约99重量％，在一些实施方案中为50重量％至约95重量％，在一些实施方案中为约60重量％至约90重量％的吸收性材料。 Likewise, the nonwoven composite material may comprise from about 40% to about 99 wt.%, In some embodiments from 50 wt% to about 95 wt.%, In some embodiments, from about 60 wt% to about 90% by weight The absorbent material. 这种同成形材料的一胜例子在Anderson MA的美国专利No. 4，100, 324、Everhart等人的美国专利No. 5，284, 703和Georger等人的美国专利No. 5，350，624中有描述，在此将其全文引入作为用于各种用途的参考。 Examples of such a win coform material Anderson MA U.S. Patent No. 4,100, 324, Everhart et al., U.S. Patent No. 5,284, 703 and Georger et al., U.S. Patent No. 5,350,624 it is described, herein incorporated by reference in its entirety for various applications. 例如，参考图2，用于形成非织造同成形复合结构的装置的一个实施方案通常由附图标记110表示。  For example, referring to Figure 2, one embodiment of apparatus for forming a nonwoven composite structures formed with generally represented by reference numeral 110. 开始时，将原料（例如聚乳酸等）供给挤出机114的送料斗112，然后挤向两个熔喷模具116和118，它们分别对应于气流1¾和128，气流1¾和1¾被调整成在冲击区130会聚。 Initially, the raw material (e.g. polylactic acid) is fed to an extruder hopper 114 112, and then pressed against the two meltblowing die 116 and 118, which correspond respectively to 128 and 1¾ airflow, the airflow is adjusted to 1¾ 1¾ and in impact area 130 converge. 一种或多种类型的第二材料132(纤维和/或微粒）也可以由喷嘴144 提供，在冲击区130添加到两股气流1¾和128中，从而将材料逐级分布在合并的气流1¾ 和128中。 One or more types of a second material 132 (fibers and / or particulates) may also be provided by the nozzles 144, 130 in the impact zone 1¾ added to the two streams 128 and to material distributed stepwise combined stream 1¾ and 128. 可以使用本领域任何已知的技术加入第二材料，如用疏散辊（picker roll)装置（未显示)或微粒注入系统（未显示)。 Using any techniques known in the art into the second material, such as by evacuation roll (picker roll) device (not shown) or particulate injection system (not shown). 第二气流132与两股气流1¾和1¾合并形成复合气流156。 The second gas stream 132 is formed with two streams and 1¾ 1¾ composite stream 156 combined. 循环传送带158由辊160驱动，接收气流156并形成复合结构154。 Endless belt 158 ​​is driven by rollers 160, 156 and composite structure receives airflow 154 is formed. 如果需要，可以使用真空箱（未显示）帮助基质固定在传送带158的表面上。 If desired, a vacuum box (not shown) secured to the belt to help the upper surface of the substrate 158. 也可以形成非织造层压物，其中一层或多层是由本发明的水解降解的聚乳酸形成的。  may form a nonwoven laminate, wherein one or more layers by proteolytic degradation of the present invention, polylactic acid is formed. 例如，一层非织造纤网可以是包含水解降解的聚乳酸的熔喷纤网或同成形纤网，而另一层非织造纤网包含水解降解的聚乳酸、其它生物可降解的聚合物和/或任何其它聚合物(例如聚烯烃）。 For example, one layer may be a nonwoven web comprising hydrolytically degradable polylactic acid meltblown or coform web, the nonwoven web and the other layer comprising hydrolytically degradable polylactic acid, other biodegradable polymers and and / or any other polymer (e.g. polyolefin). 在一个实施方案中，非织造层压物包含位于两层纺粘层之间的熔喷层，形成纺粘层/熔喷层/纺粘层（“SMS”）层压物。 In one embodiment, the nonwoven laminate comprising a meltblown layer positioned between two spunbond layers to form a spunbond / meltblown / spunbond ( "SMS") laminate. 如果需要，熔喷层可以由水解降解的聚乳酸形成。 If desired, the meltblown layer may be formed from hydrolytically degradable polylactic acid. 纺粘层可以由水解降解的聚乳酸、其它生物可降解的聚合物和/或任何其它聚合物(例如聚烯烃）形成。 Spunbond layers can be degraded by hydrolysis of polylactic acid, other biodegradable polymers and / or any other polymer (e.g. polyolefin) is formed. 形成SMS层压物的各种技术在Brock等人的美国专利No. 4，041，203、 Timmons等人的美国专利No. 5，213，881、Timmons等人的美国专利No. 5，464，688、 BornslaeRer 的美国专利No. 4，374，888、Collier 等人的美国专利No. 5，169，706 和Brock MA的美国专利No. 4，766，029以及Fitting等人的美国公开专利申请No. 2004/0002273 中有描述，在此将其全文引入作为用于各种用途的参考。 Various techniques SMS laminate is formed in Brock et al., U.S. Pat. No. 4,041,203, Timmons et al., U.S. Pat. No. 5,213,881, Timmons et al., U.S. Patent No. 5,464, 688, US Patent Publication BornslaeRer US Patent No. 4,374,888, Collier, et al., US Patent No. 5,169,706 and Brock MA, US Patent No. 4,766,029 and Fitting et al application No . described in 2004/0002273, herein incorporated by reference in its entirety for various applications. 当然，非织造层压物可以具有其它结构，并具有任何需要数量的熔喷层和纺粘层，如纺粘层/熔喷层/熔喷层/纺粘层层压物(“3匪3”），纺粘层/熔喷层层压物（“SM”）等。 Of course, the nonwoven laminate may have other configurations, and any desired number of meltblown and spunbond layers, such as spunbond / meltblown / meltblown / spunbond layer laminates ( "3 3 bandit "), spunbond / meltblown layer laminate material (" SM ") and the like. 尽管非织造层压物的定量可以根据所需应用而调整，但它的范围通常为约10至约300克/平方米（“gsm”)，在一些实施方案中为约25至约200gsm，在一些实施方案中为约40至约150gsm。 Although quantitative nonwoven laminate may be adjusted according to the desired application, but it is usually in the range from about 10 to about 300 grams / square meter ( "gsm"), in some embodiments, from about 25 to about 200 gsm, in some embodiments, from about 40 to about 150gsm. 如果需要，非织造纤网或层压物可以采用多种处理方法获得所需性质。  If desired, the nonwoven web or laminate may be obtained using a variety of treatment methods desired properties. 例如，可以采用拒液性添加剂、抗静电剂、表面活性剂、着色剂、防雾剂、抗血或醇的含氟化合物、润滑剂和/或抗微生物剂处理纤网。 For example, a liquid repellency additive, an antistatic agent, a fluorine-containing compound, a surfactant, a colorant, antifogging agent, an anti-blood or alcohol, a lubricant and / or anti-microbial agent treated web. 此外，纤网可以经过电处理获得静电荷，以改善过滤效率。 In addition, the web can be processed to obtain electricity through electrostatic charge to improve filtration efficiency. 电荷可以包括在聚合物表面或其附近捕获的正电荷或负电荷层，或在大量聚合物中储存的电荷云。 Charge may be included in or near the polymer surface trapped positive or negative charge layer, or stored in a large amount in the polymer charge cloud. 电荷还可以包括固定在分子的偶极子排列中的极化电荷。 Charge may also include polarization charges fixed arrangement of the dipoles of the molecules. 用于对织物进行电处理的技术是本领域技术人员公知的。 Techniques for electrically processing the fabric are known to those skilled in the art. 这种技术的例子包括但不限于热、液体接触、电子束、电晕放电技术。 Examples of such techniques include, but are not limited to thermal, liquid-contact, electron beam, corona discharge technique. 在一个特定实施方案中，电处理为电晕放电技术，其包括将层压物置于一对具有相反极性的电场中。 In one particular embodiment, the electrical discharge is a corona treatment technique, which comprises a laminate of a pair was placed in an electric field having an opposite polarity. 用干形成驻极体材料的其它方法在Kubik等人的美国专利No. 4，215，682、Wadsworth 的美国专利No. 4，375，718、Nakao 的美国专利No. 4，592，815、 Ando的美国专利No. 4，874，659、Tsai等人的美国专利No. 5，401, 446、Reader等人的美国专利No. 5，883，026、Rousseau等人的美国专利No. 5，908, 598、Knight等人的美国专利No. 6，365，088中有所描述，在此将其全文引入作为用于各种用途的参考。 Other methods of electret material formed by dry Kubik et al., In U.S. Patent No. 4,215,682, Wadsworth U.S. Pat. No. 4,375,718, Nakao U.S. Pat. No. 4,592,815, Ando US Patent No. 4,874,659, Tsai et al., US Patent No. 5,401, 446, Reader, et al., US Patent No. 5,883,026, Rousseau et al. US Patent No. 5,908 , 598, Knight et al., in U.S. Patent No. 6,365,088 described, herein incorporated by reference in its entirety for various applications. 本发明的非织造纤网可以用于许多种应用。 The nonwoven web  of the present invention can be used in many kinds of applications. 例如，纤网可以结合到“医疗产品”中， 如手术服、手术盖布、面罩、头罩、手术帽、鞋套、消毒包、保温毯，加热垫等等。 For example, the web may be bonded to a "medical product", as surgical gowns, surgical drapes, face masks, head coverings, surgical caps, shoe covers, sterilization bag, warming blankets, heating pads and the like. 当然，非织造纤网也可以用于其它各种用品。 Of course, the nonwoven web may also be used in other various articles. 例如，非织造纤网可以结合到“吸收性用品”中，其能够吸收水或其它流体。 For example, the nonwoven web may be incorporated into the "absorbent article", which is capable of absorbing water or other fluids. 一些吸收性用品的例子包括但不限于个人护理吸收用品，如纸尿裤，训练裤，吸收性内衣裤，失禁用品、妇女卫生产品（如卫生巾）、游泳衣、婴儿擦拭品，手套式擦拭品等；医疗吸收用品，如服装、开窗术材料、护垫、褥子、绷带，吸收性盖布和医用擦拭品；餐饮业擦拭品；衣物；袋子等等。 Some examples of absorbent articles include, but are not limited to, personal care absorbent products such as diapers, training pants, absorbent underpants, incontinence products, feminine hygiene products (such as sanitary napkins), bathing suits, baby wipes, wipes and so on glove ; medical absorbent articles, such as garments, fenestration materials, pads, mattresses, bandages, absorbent drapes, and medical wipes; food and beverage industry wipers; clothing; bags and the like. 适用于形成这些用品的材料及工艺是本领域技术人员所公知的。  The materials and processes suitable for forming such articles are known to those skilled in the art. 例如，吸收性用品通常包括基本上不渗透液体层（如背层）、渗透液体层（例如顶层、浪涌处理层、通风层、 包裹层等）和吸收芯。 For example, the absorbent articles typically comprise a substantially liquid-impermeable layer (e.g. backsheet), a liquid permeable layer (e.g. top, surge handling layer, the ventilation layer, a wrapping layer, etc.) and an absorbent core. 例如，参考图3，显示了尿布形式的吸收性用品201的一个实施方案。 For example, referring to FIG. 3, the absorbent article in the form of a diaper embodiment 201 of an embodiment. 然而，如上所述，本发明可以具体体现在其它类型的吸收性用品中，如失禁用品、卫生餐巾、 尿布包裤、卫生巾、儿童训练裤等。 However, as described above, the present invention may be embodied in other types of absorbent articles, such as incontinence articles, sanitary napkins, diaper pants, sanitary napkins, children's training pants and the like. 在图示的实施方案中，显示的尿布201为构造解开的沙漏形状。 In the illustrated embodiment, the diaper 201 is shown in an hourglass shape configuration unwound. 然而，当然可以使用其它形状，如常规的矩形、T-形或I-形。 However, of course, other shapes may be used, such as a conventional rectangular, T- shape, or I- shape. 如图所示，尿布201 包括由不同组件形成的底层202，包括外罩217、体侧衬里205、吸收芯203和浪涌层207。 As shown, the diaper 201 comprising a bottom layer 202 formed from different components, including the outer cover 217, bodyside liner 205, absorbent core 203, and surge layer 207. 然而，应当理解的是，其它层也可以用在本发明中。 However, it should be appreciated that other layers may also be used in the present invention. 同样地，图3中涉及的一层或多层也可以在本发明的某个实施方案中去除。 Likewise, one or more layers according to FIG 3 may also be removed in certain embodiments of the present invention. 外罩217通常由基本不渗透液体的材料形成。  The cover 217 is typically formed from a substantially liquid-impermeable material. 例如，外罩217可以由塑料薄膜或其它柔软的不渗透液体的材料形成。 For example, the housing 217 may be formed of a plastic film or other flexible liquid-impermeable material. 在一个实施方案中，外罩217由聚乙烯膜形成，该膜的厚度为约0. 01毫米至约0. 05毫米。 In one embodiment, the housing 217 is formed of a polyethylene film, thickness of the film is from about 0.01 mm to about 0.05 mm. 膜可以是不渗透液体的，但可以透过气体或水蒸气（即“可呼吸的”）。 Film may be liquid impermeable, but may be permeable to gas or vapor (i.e. "breathable"). 这样使得水蒸气从吸收芯203选出，但仍防止渗出液进入外罩217。 Selected such that the water vapor from the absorbent core 203, but still preventing exudates into the housing 217. 如果需要更多的布样的感觉，外罩217可以由层压到非织造纤网的聚烯烃膜形成。 If more cloth-like feeling, the outer cover 217 may be formed from a polyolefin film laminated to a nonwoven web. 例如，拉伸变薄的聚丙烯膜的厚度为约0.015毫米，可以被热层压到聚丙烯纤维的纺粘纤网上。 For example, a stretched polypropylene film is thin thickness of about 0.015 mm, it can be thermally laminated to a spunbond web of polypropylene fibers. 如果需要， 非织造纤网可以包含本发明的纤维。 If desired, the nonwoven web may comprise fibers of the present invention. 尿布201还包括体侧衬里205。  The diaper 201 further comprises a bodyside liner 205. 体侧衬里205通常用于帮助将穿用者的皮肤与吸收芯203中容纳的液体隔开。 Bodyside liner 205 is generally used to help the wearer's skin and the absorbent core 203 contained in a liquid are separated. 例如，垫里205具有面向身体的表面，该表面通常是舒适的、 感觉柔软的且不刺激穿用者的皮肤。 For example, in the pad 205 has a body-facing surface which is generally comfortable, feel soft and does not irritate the skin of the wearer. 通常，衬里205较吸收芯203更不亲水，这样它的表面对于穿用者而言保持相对干燥。 Typically, the liner 205 of the absorbent core 203 is less than the hydrophilicity, so that its surface remains relatively to the wearer in terms of drying. 衬里205可以是渗透液体的，允许液体容易地透过。 Liner 205 may be liquid permeable, permitting liquid to readily pass through. 在一个特定实施方案中，衬里包括含有本发明的多组分纤维的非织造纤网（例如，纺粘纤网、熔喷纤网或粘合梳理纤网)。 In one particular embodiment, the liner comprises multicomponent fibers of the present invention comprising a nonwoven web (e.g., spunbond web, meltblown web or bonded carded web). 包含非织造纤网的示例性衬里结构在美国专利No. 5，192，606、 No. 5，702，377、No. 5，931，823、No. 6，060，63 8 和No. 6，150，002，以及美国公开专利申请No. 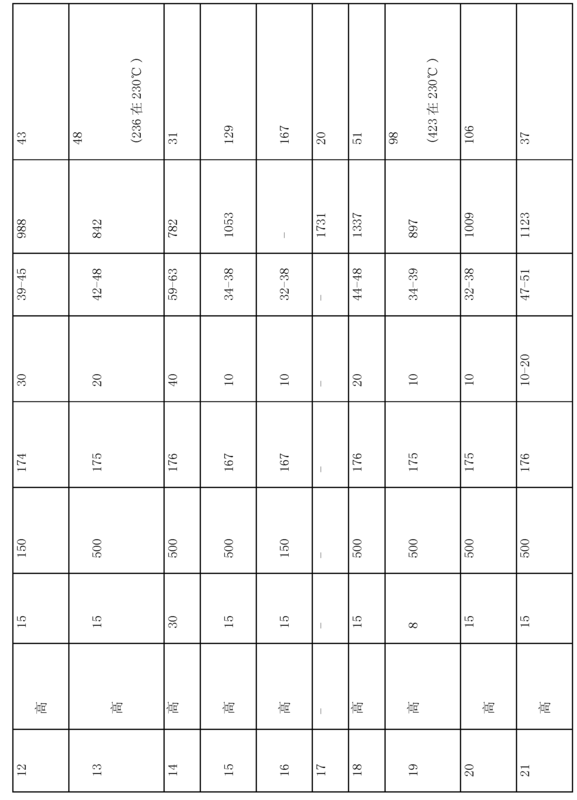 2004/0102750,2005/0054255和2005/0059941中有描述，在此将其全文引入作为用于各种用途的参考。 Exemplary liner structure comprising a nonwoven web in U.S. Patent No. 5,192,606, No. 5,702,377, No. 5,931,823, No. 6,060,63 8 and No. 6, 150,002, and U.S. Patent application Publication No. 2004 / 0102750,2005 / 0054255 and 2005/0059941 are described, herein incorporated by reference in its entirety for various applications. 如图3所示，尿布201还可以包括浪涌层207，其有助于降低液体冲击或涌入的速度和分散液体的冲击或涌入，可以迅速将液体引入吸收芯203。  As shown in FIG. 3, the diaper 201 may further include a surge layer 207 that helps to reduce the impact shock or fluid influx velocity and dispersion liquid or the influx can be quickly introduced into the liquid-absorbent core 203. 期望的是，在将液体释放到吸收芯203的储存或容留部分之前，浪涌层207可以快速地接收并暂时容纳液体。 Is desirable, prior to releasing the liquid into the storage portion of the absorbent core 203 or a shelter, the surge layer 207 may quickly receive and temporarily hold a liquid. 例如，在图示实施方案中，浪涌层207插在体侧衬里205的面向内的表面216和吸收芯203之间。 For example, in the illustrated embodiments, the surge layer 207 facing bodyside liner inserted inside surface 216 and 205 of the absorbent core 203. 可选择地，浪涌层207可以位于体侧衬里205的面向外的表面218之上。 Alternatively, surge layer 207 may be located on an outer surface 218 facing bodyside liner 205. 浪涌层207通常可以由液体渗透性高的材料构成。 Typically a surge layer 207 may be formed of a highly liquid permeable material. 适宜的材料可以包括多孔织造材料、多孔非织造材料和有孔的膜。 Suitable nonwoven material may comprise a porous film material, porous nonwoven materials, and apertured. 在一个特定实施方案中，浪涌层207包括包含本发明的纤维的非织造纤网。 In one particular embodiment, the surge layer 207 comprises a nonwoven web comprising fibers of the present invention. 其它适宜的浪涌层的例子在Ellis等人的美国专利No. 5，486，166和Ellis等人的美国专利No. 5，490，846中有描述，在此将其全文引入作为用于各种用途的参考。 Other examples of suitable surge layers are described in Ellis et al. U.S. Pat. No. 5,486,166 and Ellis et al. U.S. Pat. No. 5,490,846, which is hereby incorporated in its entirety for each the use of kinds of reference. 除了上述组分，尿布201还可以包含本领域已知的多种其它组分。  In addition to the above components, the diaper 201 may further comprise a variety of other components known in the art. 例如，尿布201 还可以包含基本亲水的包裹层（未图示），其有助于保持吸收芯203纤维结构的完整性。 For example, the diaper 201 may further comprise a substantially hydrophilic wrap layer (not shown), which helps maintain the integrity of the fibrous structure 203 of the absorbent core. 包裹层通常位于吸收芯203周围的至少两个主要相对表面上，并由吸收性纤维素质材料组成，如起皱的填料或高湿强度织物。 Wrapping the absorbent layer is typically positioned on at least two opposing major surfaces around the core 203 by an absorbent cellulosic material, such as a filler or a high wet-strength creped fabric. 包裹层还可以设置芯吸层，有助于在吸收芯203的吸收纤维块上快速分散液体。 Wrapping layer wicking layer may also be provided to help rapidly dispersing a liquid absorbent core 203 in the absorbent fibrous mass. 位于吸收纤维块一面上的包裹层材料可以与位于纤维块相对面上包裹层粘合，有效地包裹吸收芯203。 Absorbent fibers located on one side of the block layer of wrapping material may be located on opposite sides of the block of fibers wrapping an adhesive layer, the absorbent core 203 effectively wrap. 如果需要，包裹层可以由包括本发明的纤维的非织造纤网形成。 If desired, wrap layer may be formed nonwoven web comprising fibers according to the present invention. 此外，尿布201还可以包括通气层（未显示），其位于吸收芯203和外罩217之间。  In addition, the diaper 201 may further include a ventilation layer (not shown), which is positioned between the absorbent core 203 and the housing 217. 使用时，通气层有助于将外罩217与吸收芯203隔开，从而减少外罩217中的湿气。 In use, the vent cover layer 217 helps the absorbent core 203 spaced from the housing 217 to reduce moisture. 这样的通气层的例子可以包括层压到可呼吸膜的非织造纤网，如在Blaney等人的美国专利No. 6,663,611中描述的，在此将其全文引入作为用于各种用途的参考。 Examples of such ventilation layers may include breathable film laminated to the nonwoven web, as described in Blaney et al., U.S. Pat. No. 6,663,611, herein incorporated by reference in its entirety for various applications. 这样的非织造纤网可以由包括本发明的纤维的非织造纤网形成。 Such nonwoven webs may be formed from a nonwoven web comprising fibers according to the present invention. 在一些实施方案中，尿布201还可以包括一对耳状物（未显示），其从尿布201的侧边232中延伸到腰部区域中的一个。  In some embodiments, the diaper 201 may further comprise a pair of ears (not shown) extending from the side edges of the diaper 201 232-1 waist regions. 耳状物可以与所选择的尿布组件一体成形。 Ears may be integrally formed with a selected diaper components. 例如， 耳状物可以与外罩217—体成形或由用于提供顶面的材料形成。 For example, the ears may be formed with the cover body 217-, or the material used to provide the top surface. 在可选的结构中，耳状物可以由连接和组装到外罩217、顶面、外罩217和顶面之间的部件提供，或以多种其它结构提供。 In an alternative configuration, the ears and can be assembled to the housing 217 by a connection, provided between the top member, the housing 217 and the top surface, or a variety of other structures provided. 如图3中有代表性的图示，尿布201还可以包括一对包围护翼212，其被配置成用于提供屏障并容纳身体流出液的侧流。  FIG. 3 illustrates a typical diaper 201 may further include a pair of flaps 212 surrounds, which is configured to provide a barrier and contain lateral flow of liquid body exudates. 包围护翼212可以沿着体侧衬里205从侧面相对的侧边232设置，邻近吸收芯203的侧边。 Surrounding the flaps 212 may extend along the bodyside liner 205 from the side opposite to the side 232 is provided, adjacent the side edges of the core 203 of the absorbent. 包围侧翼212可以沿着吸收芯203的整个长度纵向延伸，或可以仅沿着吸收芯203的长度部分延伸。 Flaps 212 can extend longitudinally to surround the entire length of the absorbent core 203, or may extend along only part of the length of the absorbent core 203. 当包围护翼212的长度比吸收芯203更短时，它们可以有选择地沿着胯部区域210中的尿布201的侧边232设置在任何位置。 When the length of the flap 212 is surrounded shorter than the absorbent core 203, which may be optionally along the sides of the diaper 201 in the crotch region 210 is provided at any location 232. 在一个实施方案中，包围护翼212沿着吸收芯203的整个长度延伸，更好地容纳身体渗出液。 In one embodiment, the flaps 212 extend to surround the entire length of the absorbent core 203 to better contain the body exudates. 这样的包围护翼212是本领域技术人员公知的。 Such flaps 212 are surrounded by those skilled in the art. 例如，包围护翼212的适宜的结构和设置在Enloe的美国专利No. 4，704，116中有描述，在此将其全文引入作为用于各种用途的参考。 For example, suitable structure enclosing flaps 212 are provided and are described in Enloe, U.S. Patent No. 4,704,116, herein incorporated by reference in its entirety for various applications. 如果需要，一个或多个包围护翼212可以由包括本发明的纤维的非织造纤网形成。 If desired, one or more enclosing flaps 212 may be formed by a nonwoven web comprising fibers according to the present invention. 尿布201可以包括多种弹性或可拉伸材料，如固定于侧边232的一对腿部弹性部件206，以进一步防止身体渗出液的渗漏并支撑吸收芯203。  The diaper 201 may include various elastic or stretchable material, such as a pair of side 232 is fixed to the leg elastic member 206, to further prevent leakage of body exudates and support the absorbent core 203. 此外，一对腰部弹性部件208 可以固定于尿布201的纵向相对的腰部边缘215上。 Further, a pair of waist elastic members 208 may be secured to the diaper longitudinally opposite waist edges of 215,201. 腿部弹性部件206和腰部弹性部件208通常适于在使用时紧贴在穿用者的腿部和腰部周围，以保持与穿用者适当的接触，有效地减少或消除身体渗出液从尿布201漏出。 Leg elastic members 206 and the waist elastic member 208 is generally adapted for use in close contact around the legs and waist of the wearer, to maintain appropriate contact with the wearer to effectively reduce or eliminate body exudates from the diaper 201 leakage. 此处所用的术语“弹性的”和“可拉伸的”包括可以拉伸并且在放松时恢复原状的任何材料。 As used herein, the term, and any material "stretchable" include restitution can be stretched and upon relaxing the "elastic." 用于形成这种材料的适宜的聚合物包括但不限于，聚苯乙烯、聚异戊二烯和聚丁二烯的嵌段共聚物、乙烯共聚物、天然橡胶和聚氨酯等。 Suitable polymers for forming such materials include, but are not limited to, polystyrene, block copolymer of polyisoprene and polybutadiene, ethylene copolymers, natural rubber and polyurethane. 特别适合的是苯乙烯-丁二烯嵌段共聚物，由德克萨斯州休斯顿的Kraton Polymers出售， 商品名为Kraton®。 Particularly suitable styrene - butadiene block copolymers sold by Kraton Polymers of Houston, Texas, under the trade name Kraton®. 其它适合的聚合物包括乙烯共聚物，包括但不限于乙烯_醋酸乙烯酯、 乙烯-丙烯酸甲酯、乙烯丙烯酸乙酯、可拉伸的乙烯-丙烯共聚物及其组合物。 Other suitable polymers include ethylene copolymers, including but not limited to _ ethylene vinyl acetate, ethylene - methyl acrylate, ethylene ethyl acrylate, stretchable ethylene - propylene copolymer, and combinations thereof. 其它适宜的是上述聚合物的共挤出复合物和整合了弹性短纤维的复合物，其中聚丙烯、聚酯、棉花和其它材料短纤维被整合到弹性熔喷纤网中。 Other suitable co-extruded composite and integrated elastic composite short fiber of the polymer, wherein the polypropylene, polyester, cotton and other materials are integrated into the elastic staple fibers meltblown web. 某些弹性的单活性中心或茂金属催化的烯烃聚合物和共聚物也适用于侧板。 Certain elastomeric single-site or metallocene-catalyzed olefin polymers and copolymers are also suitable for the side plates. 尿布201还可以包括一个或多个紧固件230。  The diaper 201 may also include one or more fasteners 230. 例如，图3所示的两个柔性紧固件130位于腰部区域的相对侧边，以形成围绕穿用者的腰部开口和一对腿部开口。 For example, as shown in FIG. 3, two flexible fasteners 130 is located opposite sides of the waist region, to form an opening around the waist of the wearer and a pair of leg openings. 紧固件230 的形状通常可以变化，但可以包括，例如通常的矩形、正方形、圆形、三角形、椭圆形、线形等。 The shape of the fasteners 230 may generally vary, but may include, for example, a generally rectangular, square, circular, triangular, elliptical, linear like. 紧固件可包括，如钩形材料件。 The fastener may include, for example hook material member. 在一个特定实施方案中，每个紧固件230包括分开的钩形材料，其固定在柔性背衬的内表面。 In one particular embodiment, each fastener 230 includes a separate hook material, which is fixed to the inner surface of the flexible backing. 可以使用任何已知的连接机制把尿布201的各个区域和/或组件装配在一起，如粘合剂、超声、热粘合等。  Any known attachment mechanism 201 of the respective regions of the diaper and / or components assembled together, such as adhesive, ultrasonic, thermal bonding and the like. 适宜的粘合剂可以包括如热熔粘合剂、压敏粘合剂等。 Suitable binders may include hot-melt adhesives, pressure sensitive adhesives and the like. 使用时，粘合剂可以以均勻层、图案层、喷涂的图案或任何分开的线、螺旋或点来施用。 When used, the adhesive may be applied in a uniform layer, a patterned layer, a sprayed pattern, or any of separate lines, spirals or spots. 在图解的实施方案中，例如，外罩217和体侧衬里205用粘合剂彼此装配起来并与吸收芯203装配起来。 In the illustrated embodiment, for example, the outer cover 217 and bodyside liner 205 fitted to each other with an adhesive and the absorbent core 203 is assembled. 另外，吸收芯203可以使用常规紧固件，如纽扣、钩和环形紧固件、胶带紧固件等与外罩217 连接。 Further, the absorbent core 203 using conventional fasteners, such as buttons, hook and loop fasteners, tape fasteners, etc. is connected to the housing 217. 类似地，其它尿布组件，如腿部弹性部件206、腰部弹性部件208和紧固件230也可以使用任何连接机制装配到尿布210上。 Similarly, other diaper components, such as leg elastic members 206, waist elastic members 208 and fasteners 230 using any attachment mechanism may be fitted to the diaper 210. 尽管上文已经描述了尿布的多种结构，应理解的是其它尿布和吸收性用品的结构也包括在本发明的范围内。  While the foregoing has described various structures of the diaper, it should be understood that the structure of diapers and other absorbent articles are also included within the scope of the invention. 此外，本发明也不仅局限于尿布。 Further, the present invention is also not limited to the diaper. 实际上，任何其它的吸收性用品都可以根据本发明制成，它们包括但不限于，其它个人护理吸收用品，如训练裤、吸收内衣裤、成人失禁产品、妇女卫生产品（例如卫生巾）、游泳衣、婴儿擦拭品等；医疗吸收用品， 如衣服、开窗术材料、护垫、绷带、吸收性盖布和医用擦拭品；餐饮服务擦拭品；衣物等。 In fact, any other absorbent article can be made according to the present invention, including but not limited to, other personal care absorbent articles, such as training pants, absorbent underpants, adult incontinence products, feminine hygiene products (e.g., sanitary napkins), swimwear, baby wipes and the like; medical absorbent articles, such as clothing, fenestration materials, pads, bandages, absorbent drapes, and medical wipes; food service wipers; clothing. 例如，在一个实施方案中，可以使用本发明的非织造纤网制造适用于皮肤的擦拭品，例如婴儿擦拭品、成人擦拭品、手巾、面巾、化妆擦拭品、家用擦拭品、工业用擦拭品、个人清洁擦拭品、棉球、棉签等。  For example, in one embodiment, it may be a nonwoven web of the present invention for producing applied to the skin wipes, such as baby wipe, an adult wipe, towel, washcloth, cosmetic wipe, household wipe, industrial with wipes, personal cleansing wipes, cotton balls, cotton swabs and so on. 擦拭品可以设计成多种形状，包括但不限于常规的圆形，椭圆形，正方形，矩形或不规则形状。 Wipes may be designed in a variety of shapes, including but not limited to, conventional round, oval, square, rectangular or irregular shape. 每个单一的擦拭品可以设置成折叠结构，并且一个叠到另一个之上，以提供一叠湿巾。 Each individual wipe may be arranged in a folded configuration and stacked one on top of another to provide a stack of wet wipes. 这样的折叠结构是本领域技术人员公知的并且包括c形-折叠，ζ形-折叠，四分之一折叠结构等。 This folding structure is well known to the skilled person and include c-shaped - folding, form [zeta] - folded, quarter-folded structure. 例如，擦拭品展开后的长度约为2. 0至约80. 0厘米， 在一些实施方案中为约10. 0约25. 0厘米。 For example, the length of the article to expand after wiping of about 2.0 to about 80.0 centimeters, in some embodiments, from about 10.0 to about 25.0 centimeters. 同样地，擦拭品展开后的宽度为约2. 0至约80. 0 厘米，在一些实施方案中为约10.0至约25.0厘米。 Similarly, the width of the wiping article after expanded is from about 2.0 to about 80.0 centimeters, in some embodiments, from about 10.0 to about 25.0 centimeters. 一叠折叠的擦拭品可以放在如塑料盒的容器内，以提供最终出售给消费者的擦拭品包。 A stack of folded wipes may be placed within the container as the plastic case, so as to provide a final distribution to the consumer wipes package. 另外，擦拭品可以包括连续的带状材料， 每个擦拭品之间有孔并且可以设置成叠或卷成卷以便于分配。 Further, the wipes may include a continuous strip of material, a hole between each wipe and stack, or may be provided in rolled into a roll for dispensing. 用于分配擦拭品的各种适宜的分配器、容器和系统在Buczwinski等人的美国专利No. 5，785，179、Zander的美国专利No. 5，964，351、Zander 的美国专利No. 6，030, 331、Haynes 等人的美国专利No. 6，158，614、 Huang等人的美国专利No. 6，269, 969、Huang等人的美国专利No. 6，269, 970和Newman等人的美国专利No. 6，273，359中有描述，在此将其全文引入作为用于各种用途的参考。 Various suitable dispensers, containers, and systems for dispensing wipes Buczwinski et al., In U.S. Patent No. 5,785,179, Zander U.S. Patent No. 5,964,351, Zander U.S. Patent No. 6 US Patent 030, 331, Haynes et al, No. 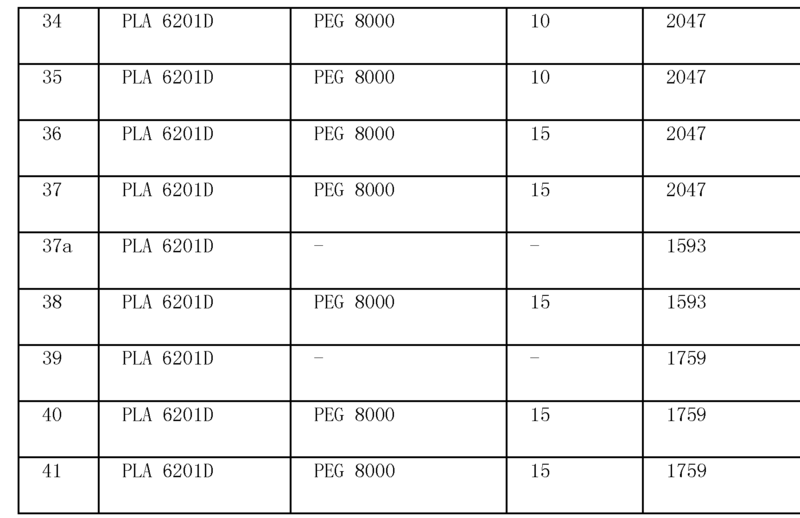 6,158,614, US Patent Huang et al., US Patent No. 6,269, 969, Huang et al., No. 6,269, 970, and Newman et al. U.S. Patent No. 6,273,359 are described, herein incorporated by reference in its entirety for various applications. 在本发明的某些实施方案中，擦拭品是“湿巾”，其包含用于清洁、消毒、净化等的溶液。  In certain embodiments of the invention, the wipe is "wipes", which contains a cleaning, disinfection, purification solution. 特定的湿巾溶液不是本发明的关键，其在Krzysik等人的美国专利No. 6，440，437、 Amundson等人的美国专利No. 6，028, 018、Cole的美国专利No. 5，888，524、Win等人的美国专利No. 5，667，635、Kopacz等人的美国专利No. 5，540, 332、Tackson等人的美国专利No. 4，741，944中有更加详细地描述，在此将其全文引入作为用于各种用途的参考。 Specific solution is not critical wipes of the present invention, which Krzysik et al., U.S. Pat. No. 6,440,437, Amundson et al U.S. Pat. No. 6,028, 018, Cole, U.S. Patent No. 5,888 described, 524, Win et al., in U.S. Patent No. 5,667,635, Kopacz et al., U.S. Patent No. 5,540, 332, Tackson et al., U.S. Patent No. 4,741,944 have greater detail , herein incorporated by reference in its entirety for various applications. 湿巾溶液用量可以根据所用的擦拭品材料的类型、用于保存擦拭品的容器的类型、清洁剂的性质和所需擦拭品的最终用途而定。 The amount of solution type according to the type of wipes wipe material used, the storage container for the wipes, the nature of the cleaning agent and the desired end use of the wipe may be. 通常，每个擦拭品包含基于擦拭品的干重的约150至约600 重量％，理想的为约300至约500重量％的湿巾溶液。 Generally, each wipe contains from about 150 to about 600 by weight based on the dry weight of the wipe%, preferably from about 300 to about 500% by weight wet wipes solution. 参考以下实施例将更好地理解本发明。  reference to the following embodiments of the present invention will be better understood. 样品浓度：0. 5%的聚合物，“照此”  Sample concentration: 05% polymer, "as such"
 获得数均分子量（MWn)、重均分子量（MWz)和粘均分子量（MWz)的一阶矩。  The number-average molecular weight (MWn), weight average molecular weight (MWZ) and viscosity average molecular weight (MWZ) first moment. 采用毛细管流变仪GSttfert Rheograph 2003，通过分析软件WinRHE02. 31版测定聚合物样品的流变学特性。  The capillary rheometer GSttfert Rheograph 2003, measuring the rheological properties of polymer samples through analysis software version WinRHE02. 31. 装置包括2000巴压力换能器和30/1:0/180的圆孔毛细管模具。 2000 bar means comprises a pressure transducer and a 30/1: 0/180 round hole capillary die of. 通过在加样和推杆压紧之间转换而完成上样。 By pressing the push rod between the loading and the complete conversion of the sample. 每个试验前有2分钟的熔融时间，使得聚合物在测试温度（通常160至220°C )下完全熔融。 Molten time of 2 minutes before each test, so that the polymer to completely melt at the test temperature (usually 160. to 220 ° C). 毛细管流变仪在不同剪切速率，如100、 200、500、1000、2000和4000s—1下测定表观粘度。 A capillary rheometer at different shear rates, such as 100, 200,500,1000,2000 4000s-1 and the apparent viscosity was measured. 表观剪切速率相比于表观粘度得到的流变学曲线显示出挤压过程中某一温度下聚合物是如何流动的。 Rheological profile as compared to the apparent shear rate apparent viscosity obtained shows how the extrusion process at a temperature of polymer is mobile. 熔体流动速率（“MFR”）是指在10分钟内负载2160克时，通常在190°C或230°C 下，被挤压通过挤出式流变仪的孔（直径0. 0825英寸)的聚合物的重量（以克计)。 When  The melt flow rate ( "MFR") refers to a load 2160 g in 10 minutes, typically at 190 ° C or 230 ° C, is extruded through an extrusion rheometer orifice (diameter 0. 0825 inches) of the weight of the polymer (in grams). 除非另外说明，熔体流动速率是根据ASTM测试方法D1238-E测定的。 Unless otherwise stated, the melt flow rate is determined according to ASTM Test Method D1238-E. 熔体流动速率可以在干燥之前或之后测定。 Melt flow rate can be determined before or after drying. 通常，干燥后测定的聚合物（干基）的含水量少于500份/百万。 Typically, the water content of the polymer (dry basis) as determined after drying is less than 500 parts / million. 主要根据ASTM标准D-5034测定条带的拉伸强度值。  The main ASTM Standard D-5034 tensile strength values ​​measured according to the strip. 具体而言，裁出或以其它方法提供规格为测量值25毫米（宽）X 127毫米（长）的非织造纤网样品。 Specifically, cutting out or provide specifications for the measurement of 25 mm (width) X 127 mm (length) sample of nonwoven web with other methods. 使用恒定伸长速率型的拉伸测试仪。 Using the constant stretching rate type tensile tester. 拉伸测试系统为获自北卡罗莱纳州Cary的Sintech Corp.的Sintech 拉伸测试仪。 Tensile tester tensile testing system was obtained from North Carolina's Sintech Corp. of Cary Sintech. 拉伸测试仪配备来自MTS公司的TESTW0RKS 4. 08B软件以支持分析。 Tensile tester equipped TESTW0RKS 4. 08B software from MTS Corporation to support the analysis. 选择合适的负荷传感器，使得测试值落入全负荷刻度的10-90%范围内。 Select the appropriate load cell, so that the test value falls within the range of 10-90% of full scale load. 将样品固定在具有前后面的夹钳之间，夹钳大小为25. 4毫米X 76毫米。 The sample was fixed between the front and rear clamp having, clamp size of 25.4 mm X 76 mm. 夹持面是橡胶的，且夹钳的较长边与拖动方向垂直。 Clamping surface is of rubber, and the longer side perpendicular to the clamping direction of the drag. 夹钳的压力由空气作用维持在40磅/平方英寸。 The clamp pressure was maintained at 40 lbs / square inch pneumatically. 拉伸测试仪以300毫米/分钟的速度运行，标距长度为10. 16厘米，断开灵敏度为40 %。 Tensile tester to run at a speed of 300 mm / min, gauge length of 10.16 cm, the sensitivity was 40% OFF. 沿着机器方向（“MD”）施加测试负载，测试5个样品，并沿着交叉方向（“CD”） 施加测试负载，测试了5个样品。  applying the test load along the machine direction ( "MD"), 5 samples were tested, and applying the test load along the cross direction ( "CD"), the five samples tested. 除了拉强强度（“负荷峰值”）还测定了拉伸峰值（即在负荷峰值下的变形％)。 In addition to strong tensile strength ( "peak load") were also determined Tensile Peak (i.e. the deformation under load peaks%). 使用Arizona Instruments Computrac Vapor Pro 湿度分析仪（N3100 型）测定含水量，其主要依据为ASTM D 7191-05，在此将其全文引入作为用于各种用途的参考。  using the Arizona Instruments Computrac Vapor Pro moisture analyzer (N3100 type), the water content of which is mainly based on ASTM D 7191-05, incorporated herein by reference in its entirety for various applications. 测试温度（§ X2. 1. 2)为130°C，样品规格（§ X2. 1. 1)为2至4克，且瓶清洗时间（§ X2. 1. 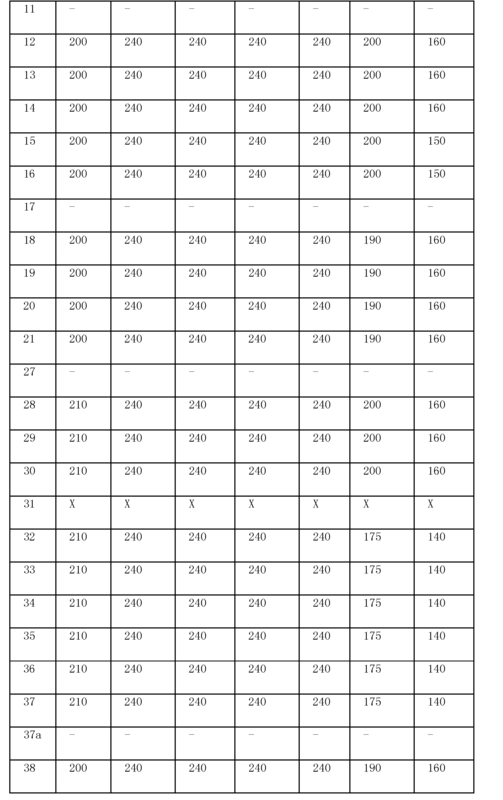 4) 为30秒。 Test temperature (§ X2. 1. 2) is 130 ° C, the sample size (§ X2. 1. 1) 2 to 4 grams and bottle washing time (§ X2. 1. 4) is 30 seconds. 此外，终点标准（§X2. 1.¾设定为“预测”模式，这意味着当满足内置的程序标准（数学计算的终点含水量）时测试结束。 In addition, the end of the standard (§X2. 1.¾ set to "predict" mode, which means that when the end of the built-in program to meet the standards (the end of the water content of mathematical calculations) test. 使用两个级别的聚乳酸，即由NatureWorks LLC (Minnetonka,明尼苏达州）提供的6201D和Biomer Inc.(德国）提供的L9000。  6201D and L9000 Biomer Inc. (Germany) offers two levels of polylactic acid, that is supplied by NatureWorks LLC (Minnetonka, Minnesota). 形成的树脂如下表1所述，使用^fernerer Phleiderer MK-30型双螺杆挤出机（L/D比为44)进行熔融处理。 The resin in the following Table 1, using ^ fernerer Phleiderer MK-30 type twin-screw extruder (L / D ratio of 44) performing a melting treatment. 在试验过程中使用三种挤出螺杆配置，具体为低、中和高螺旋剪切装置。 During the test used three kinds of extrusion screw configuration, specifically low, moderate and high shear device spiral. 低剪切螺杆装置包括共计33个低剪切传送元件和共计20个高剪切捏合元件。 Low shear screw means comprises a total of 33 low shear transfer member and a total of 20 high shear kneading elements. 中剪切螺杆装置包括共计四个低剪切传送元件和共计25个高剪切捏合元件。 Shear screw means comprises a total of four low shear transfer member and a total of 25 high shear kneading elements. 高剪切螺杆装置包括共计19个低剪切传送元件和共计39个高剪切捏合元件。 High shear screw means comprises a total of 19 low shear transfer member 39 and the total of high shear kneading elements. 挤出后，改性的聚合物条在传送带上冷却并制粒。 After extrusion, the modified polymer strand was cooled and granulated on a conveyor belt. 干的和预湿的树脂都使用。 Pre-wetted and dry resins can be used. 挤出前测定含水量并使用如表2-3所述的熔融加工条件挤出树脂。 Determination of moisture content before extrusion using Table 2-3 melt processing conditions of the extruded resin. 测定改性树脂制粒后的最终含水量和最终的熔体流动速率（MFR)。 The final water content was measured after granulation and the final modified resin melt flow rate (MFR). *Griltex D 1473E 为获自EMS-CHEMIE AG 的共聚物。  * Griltex D 1473E is available from EMS-CHEMIE AG of copolymer. 如表所示，与在较低含水量和低螺杆剪切设置下加工的PLA相比，采用高含水量和高螺杆剪切设置的PLA熔融加工过程使得最终的熔体流动速率（MFR)显著增加。  As shown in the table, as compared to processing at lower water content and a low shear screw set PLA, PLA during melt processing using a high moisture content and a high shear screw disposed such that the final melt flow rate ( MFR) significantly increased. 例如， MFR由约12g/10分钟（样品1)增加至约50g/10分钟MFR(样品13)。 E.g., MFR (Sample 1) increased from approximately 12g / 10 min to about 50g / 10 minutes MFR (Sample 13). 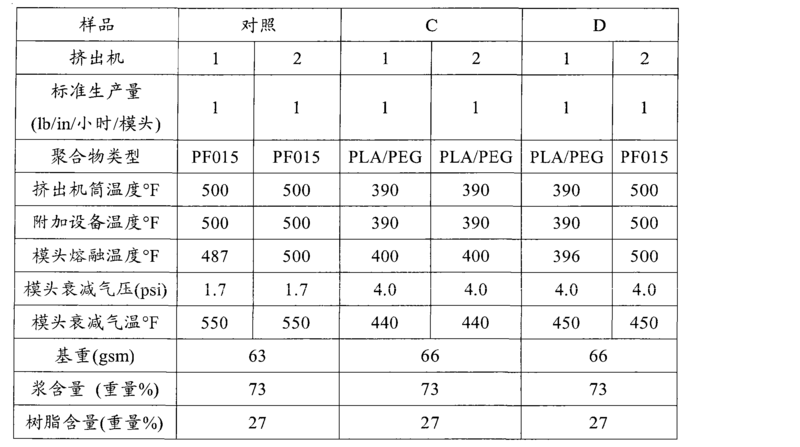 加入15% PEG导致最终的MFR进一步增加至U9g/10分钟（样品15)。 15% PEG was added resulting in further increased to the final MFR U9g / 10 min (Sample 15). 此外，初始含水量从约1630ppm增加至2047ppm，还导致最终MFR从48增加至88g/10分钟(样品13和32)。 Furthermore, the initial water content increases from 2047ppm to about 1630ppm, also resulting in a final MFR increases from 48 to 88g / 10 minutes (samples 13 and 32). 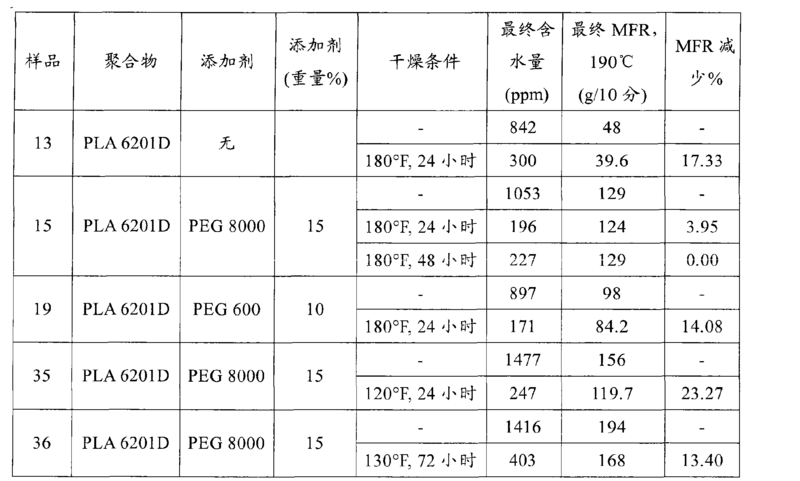 如表所示，表明干燥后熔体流动速率部分降低。 As shown in  Table shows that the melt flow rate after the drying section is reduced. 如上所述，用常规的熔喷设备由三种C3)不同的树脂样品形成熔喷纤网。  As described above, by a conventional meltblowing apparatus for forming a meltblown web composed of three C3) different resin samples. 样品A是由38号样品树脂（实施例1)形成的，且作为单组分纤维挤出。 Sample A is a sample number 38 resin (Example 1) is formed, and extruded as a single component fibers. 树脂在润湿处理前在180° F 下干燥过夜。 Wetting treatment before the resin was dried overnight at 180 ° F. 样品B也是由38号样品（实施例1)的干燥树脂形成的。 Sample B is a dry resin sample No. 38 (Example 1) is formed. 然而，挤出的样品B为常规的皮/芯型结构，其中芯（80重量％)由38号样品树脂形成，并且皮（20重量％) 由得自Basell North America, Inc. (Elkton，马里兰州）的名为“PF015”聚丙烯形成。 However, the conventional sample B extruded sheath / core structure, wherein the core (80 wt%) is formed of a resin sample No. 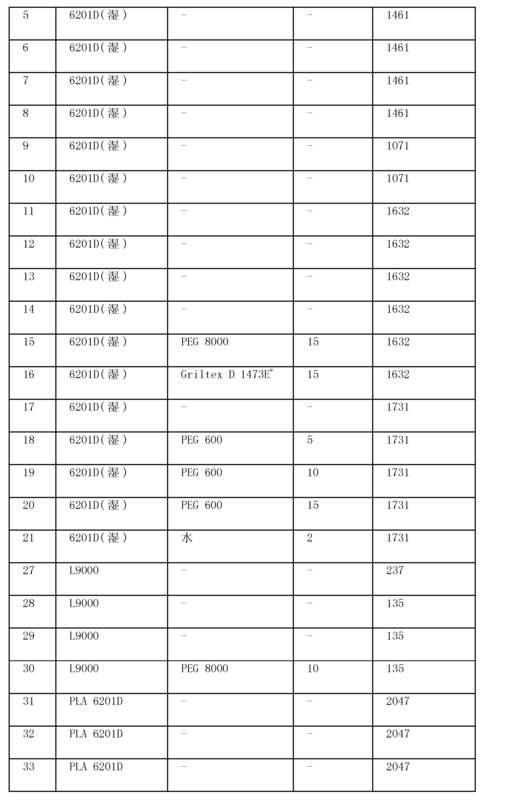 38, and the sheath (20 wt%) was obtained from Basell North America, Inc. (Elkton, Maryland state) entitled "PF015" polypropylene. 对照熔喷纤网也是由包含PF015聚丙烯的树脂形成的单组分纤维。 Control monocomponent fiber meltblown web are formed of a resin containing PF015 polypropylene. 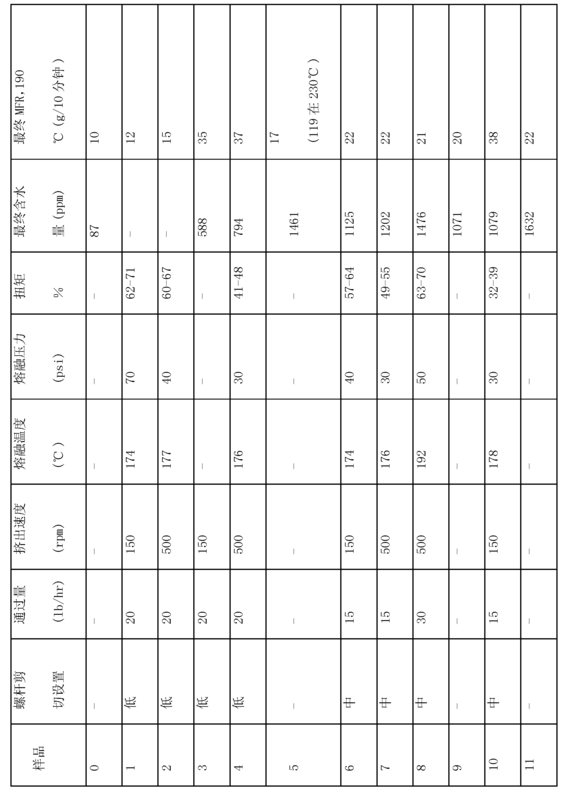 形成熔喷纤网的条件记载于下表5中。 Conditions for forming the meltblown web described in Table 5 below. 而且，纤网的多种机械性能记载于下表6中。 Further, various mechanical properties of the webs described in Table 6. 如上所述，采用常规设备，由“NF 405”浆和三（3)种不同类型的树脂形成同成形纤网。  As described above, using conventional equipment, by the "NF 405" Pulp and three (3) different types of resin coform web. 样品C是由38号样品（实施例1)树脂形成的，并且挤出形成单组分纤维。 Sample C was a sample No. 38 (Example 1) formed of resin, and extruded to form a single component fibers. 树脂在润湿处理前在180° F干燥过夜。 Before processing the resin wetted was dried overnight at 180 ° F. 样品D也是由38号样品（实施例1)的干燥树脂形成的。 Sample D is a dry resin sample No. 38 (Example 1) is formed. 然而，挤出的样品D为常规的皮/芯型结构，其中芯（80重量％)由38号样品树脂形成，并且皮（20重量％ )由得自Basell的名为“PF015”的聚丙烯树脂形成。 However, Sample D conventional extruded sheath / core structure, wherein the core (80 wt%) is formed of a resin sample No. 38, and the sheath (20 wt%) was obtained from Basell entitled "PF015" polypropylene resin. 对照同成形纤网也是由包含PFOl 5聚丙烯的树脂形成的单组分纤维。 Control monocomponent fibers coform web is formed from a polypropylene resin containing 5 PFOl. 形成同成形纤网的条件记载于下表7 中。 Coform web forming conditions described in Table 7. 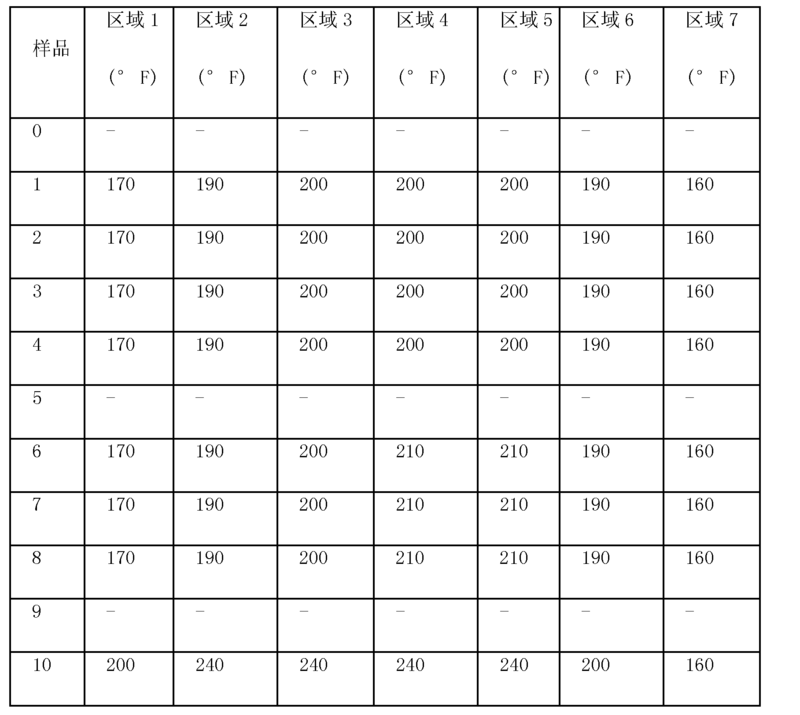 而且，纤网的多种机械性能记载于下表8中。 Further, various mechanical properties of the webs are described in Table 8. *样品0为对照，未修饰的树脂。  * 0 as control sample, unmodified resin. 如表所示，树脂的改性导致数均分子量（Mwn)、重均分子量（Mww)和Z-均分子量(Mwz)显著降低。  As shown, the modified resin result in phenotypic number average molecular weight (Mwn), weight average molecular weight (MWW) and Z- average molecular weight (MWZ) significantly reduced. 例如，33号样品的数均分子量从107，800降至75，200，重均分子量从142，400 降至98，900。 For example, the number-average molecular weight of the sample 33 from 107,800 down to 75,200, a weight average molecular weight of from 142,400 down to 98,900. 当已经参考具体的实施方案详细描述本发明时，可以理解的是本领域技术人员在理解上述内容的基础上，可以容易想到这些实施方案的变化、变形和等同方式。  While the invention has been described in detail with reference to specific embodiments, it is understood that those skilled in the art based on the understanding of the foregoing, variations may readily occur to these embodiments, modifications and equivalents. 因此，本发明公开的范围应以其所附权利要求及其任何等同方式所涵盖的范围进行评价。 Accordingly, the scope of the invention should be evaluated for its disclosure scope of the appended claims and any equivalents encompassed. 1. 一种用于形成纤维的生物可降解聚合物的制备方法，该方法包括基于第一聚乳酸的干重计，熔融加工含水量为500ppm至5000ppm的第一聚乳酸，其中聚乳酸发生水解反应生成第二水解降解的聚乳酸，其中根据ASTM测试方法D1238-E，在基于干重的负载为2160克且温度为190°C下测定的所述第二水解降解的聚乳酸的熔体流动速率与第一聚乳酸的熔体流动速率之比为至少1.5，其中所述第一聚乳酸由源自L-乳酸，D-乳酸，内消旋乳酸或其混合物的单体单元形成，其中所述第二水解降解的聚乳酸的熔体流动速率为10到1000克/10分钟。 1. A method for forming a fiber biologically degradable polymer preparation method, the method comprising a first polylactic acid based on the dry weight of the melt processing to a water content of 500ppm 5000ppm first polylactic acid, wherein the polylactic acid hydrolyzed generating a second hydrolysis reaction degradable polylactic acid, wherein according to ASTM test method D1238-E, measured in the load based on the dry weight of 2160 g and a temperature of 190 ° C under hydrolytic degradation of the second polylactic acid has a melt flow melt flow rate than the first rate of polylactic acid is at least 1.5, wherein the first polylactic acid by the lactic acid from L-, D- lactic acid, meso-lactic acid monomer unit or a mixture thereof, wherein said second melt flow rate of hydrolytic degradation of polylactic acid is 10 to 1000 g / 10 min. 2.权利要求1所述的方法，其中所述第二水解降解的聚乳酸的熔体流动速率与第一聚乳酸的熔体流动速率之比为至少10。 2. The method according to claim 1, the melt flow ratio of said second melt flow rate wherein the hydrolytically degradable polylactic acid and polylactic acid first rate is at least 10. 3.权利要求1所述的方法，其中在温度为190°C且剪切速率为1000秒―1下测定的所述第一聚乳酸的表观粘度与第二水解降解的聚乳酸的表观粘度之比为至少1.1。 The method according to claim 1, wherein at a temperature of 190 ° C and a shear rate of 1000 seconds -1 measured first apparent viscosity of polylactic acid and hydrolytic degradation of the second polylactic acid apparent viscosity ratio of at least 1.1. 4.权利要求1所述的方法，其中在温度为190°C且剪切速率为1000秒―1下测定的所述第一聚乳酸的表观粘度与第二水解降解的聚乳酸的表观粘度之比为至少2。 The method according to claim 1, wherein at a temperature of 190 ° C and a shear rate of 1000 seconds -1 measured first apparent viscosity of polylactic acid and hydrolytic degradation of the second polylactic acid apparent viscosity ratio of at least 2. 5.权利要求1所述的方法，其中所述第二水解降解的聚乳酸的数均分子量为10，000至105，000克/摩尔，重均分子量为20，000至140，000克/摩尔。 The method according to claim 1, wherein said second number of hydrolytic degradation of the polylactic acid-average molecular weight of 10,000 to 105,000 g / mol, a weight average molecular weight of 20,000 to 140,000 g / mol . 6.权利要求1所述的方法，其中所述第二水解降解的聚乳酸的数均分子量为30，000至90，000克/摩尔，重均分子量为50，000至100，000克/摩尔。 6. The method according to claim 1, wherein said second number of hydrolytic degradation of the polylactic acid-average molecular weight of 30,000 to 90,000 g / mol, a weight average molecular weight of 50,000 to 100,000 g / mol . 7.权利要求1所述的方法，其中所述第二水解降解的聚乳酸的熔体流动速率为100至800克/10分钟。 The method according to claim 1, wherein said second melt flow hydrolytic degradation rate of polylactic acid is 100 to 800 g / 10 min. 8.权利要求1所述的方法，其中在温度为190°C且剪切速率为1000秒―1下测定的所述第二水解降解的聚乳酸的表观粘度为5至250帕斯卡·秒。 The apparent viscosity of the method according to claim 1, wherein at a temperature of 190 ° C and a shear rate of 1000 sec -1 as measured hydrolytic degradation of the second polylactic acid is from 5 to 250 Pa.s. 9.权利要求1所述的方法，其中在温度为190°C且剪切速率为1000秒―1下测定的所述第二水解降解的聚乳酸的表观粘度为10至100帕斯卡·秒。 The apparent viscosity 9. The method of claim 1, wherein at a temperature of 190 ° C and a shear rate of 1000 sec -1 as measured hydrolytic degradation of the second polylactic acid is 10 to 100 Pa.s. 10.权利要求1所述的方法，其中所述第一聚乳酸为包含源自L-乳酸的单体单元和源自D-乳酸的单体单元的共聚物。 The method of claim 1 wherein the first polylactic acid containing a monomer unit derived from L- lactic acid and D- lactic acid monomer units derived from a copolymer as claimed in claim 10,. 13.权利要求1所述的方法，其中所述熔融加工在温度为100°C至500°C且表观剪切速率为100秒―1至10，000秒―1下进行。 13. The method of claim 1, wherein said melt processing at a temperature of between 100 ° C and 500 ° C is carried out at an apparent shear rate of 100 sec -1 to 10,000 sec -1. 14.权利要求1所述的方法，其中所述熔融加工在温度为150°C至350°C且表观剪切速率为800秒―1至1200秒―1下进行。 14. The method of claim 1, wherein the melt processing temperature of 150 ° C to 350 ° C and an apparent shear rate for 800 sec -1 to 1200 sec -1. 15.权利要求1所述的方法，其中所述熔融加工在挤出机中进行。 15. The method of claim 1, wherein said melt processing in an extruder. 16.权利要求1所述的方法，其中所述第二水解降解的聚乳酸通过熔喷模具挤出。 16. The method of claim 1, wherein the second polylactic acid by hydrolytic degradation meltblowing die extrusion. 17.权利要求1所述的方法，其中所述第一聚乳酸与增塑剂一起被熔融加工。 17. The method of claim 1, wherein the first polylactic acid together with a plasticizer are melt processed. 18.权利要求17所述的方法，其中所述增塑剂包括聚乙二醇。 18. The method of claim 17, wherein the plasticizer comprises polyethylene glycol. 19.权利要求18所述的方法，其中基于第一聚乳酸的干重计，所述增塑剂的用量为0. 1重量％至20重量％。 19. The method of claim 18, wherein based on the dry weight of the first polylactic acid, the plasticizer in an amount of 0.1 wt% to 20 wt%. 20. 一种由前述任一权利要求所述的方法获得的生物可降解的、水解降解的聚乳酸形成的纤维。 20. A method of biological according to any of the preceding claims to obtain a biodegradable fiber hydrolytic degradation of polylactic acid formed. 21.权利要求20所述的纤维，其中所述纤维为多组分纤维，其中纤维的至少一种组分包含生物可降解的、水解降解的聚乳酸。 21. A fiber according to claim 20, wherein the fiber is a multicomponent fiber, wherein at least one component comprises a fiber of a biodegradable, hydrolytic degradation of polylactic acid. 22.权利要求21所述的纤维，其中所述多组分纤维为双组分纤维，其中一种组分包含生物可降解的、水解降解的聚乳酸且另一种组分包含聚烯烃或聚酯。 22. A fiber according to claim 21, wherein said multicomponent fibers are bicomponent fibers, wherein one component comprises a biodegradable, hydrolytically degradable polylactic acid and the other component comprises a polyolefin or a poly ester. 23. 一种包含权利要求20所述的纤维的非织造纤网。 23. A fiber as claimed in claim 20, said nonwoven web. 24.权利要求23所述的非织造纤网，其中所述纤网为熔喷纤网或还包含吸收性材料的复合材料。 The nonwoven web according to claim 23, wherein said web is a meltblown web, or a composite material further comprising an absorbent material. 25. 一种吸收性用品或擦拭品，其包含权利要求23所述的非织造纤网。 25. A wipe or absorbent article, comprising a nonwoven web as claimed in claim 23. DE3781133D1 (en) * 1986-12-19 1992-09-17 Akzo Nv Preparation of polylactic acid, and copolymers thereof. IT1256918B (en) * 1992-08-04 1995-12-27 Mini Ricerca Scient Tecnolog Process for the production of poly lactic acid. IT1307022B1 (en) * 1999-03-15 2001-10-23 Novamont Spa Simplified process for obtaining alifaticibiodegradabili polyesters.